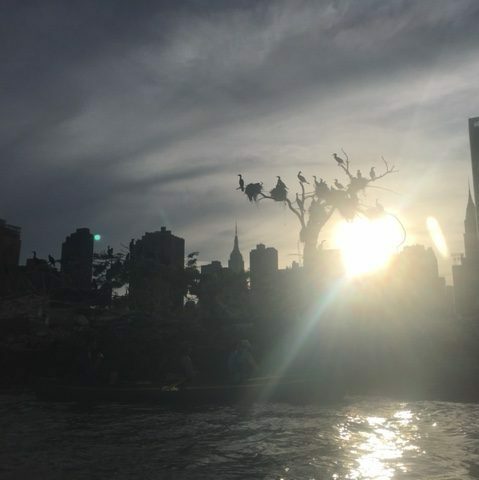 But at least we know their schedule! 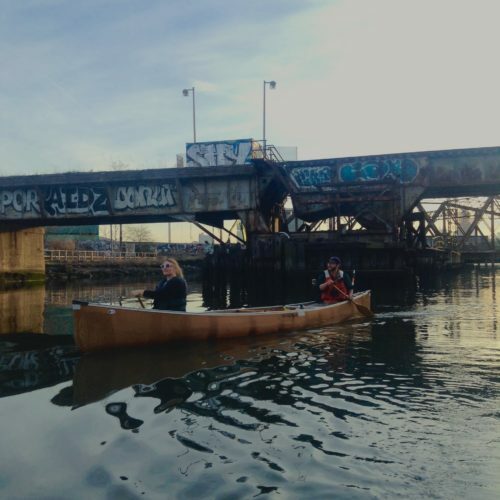 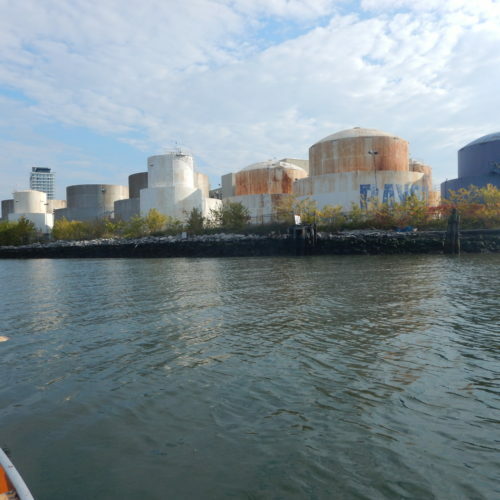 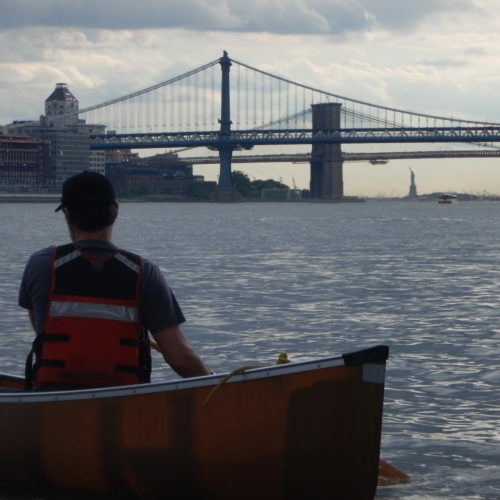 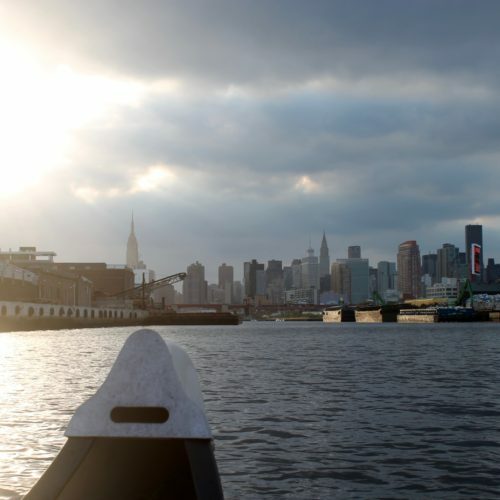 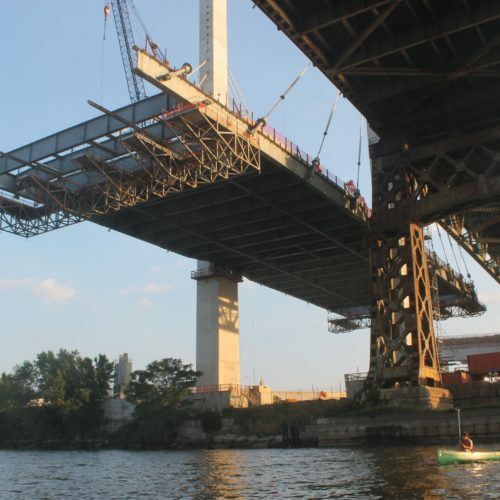 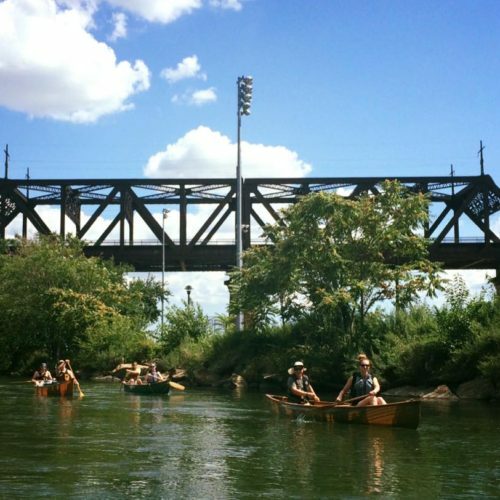 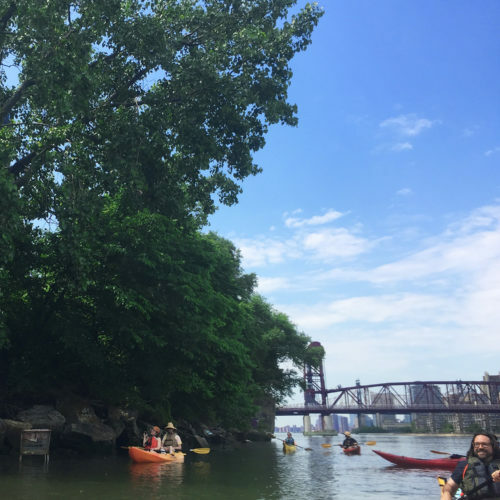 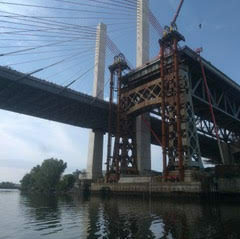 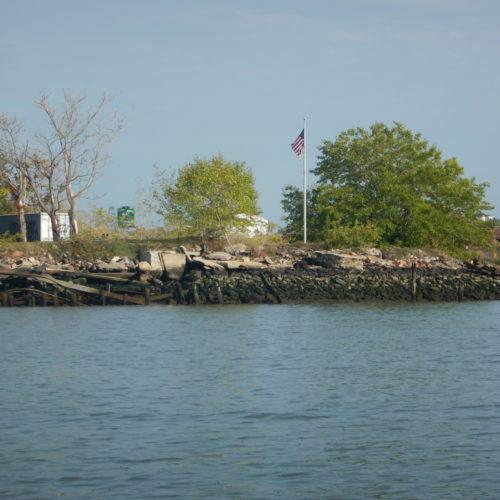 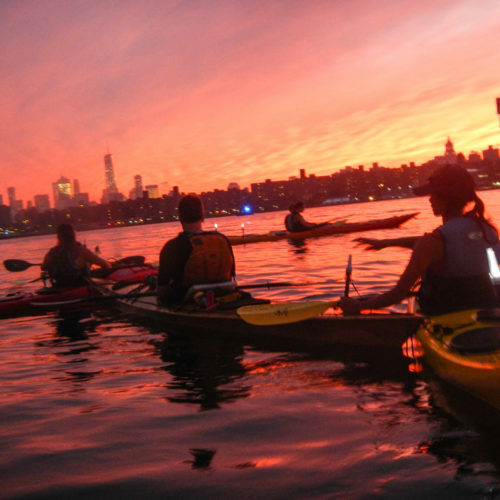 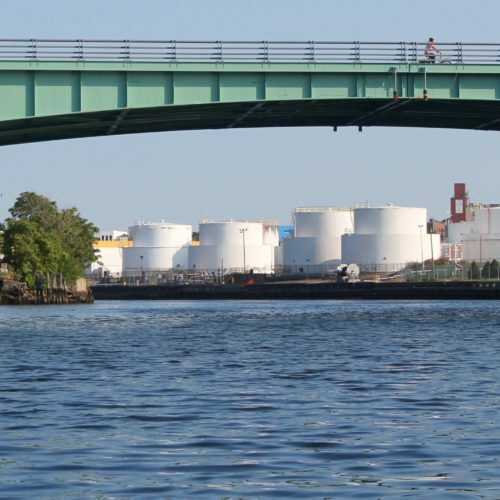 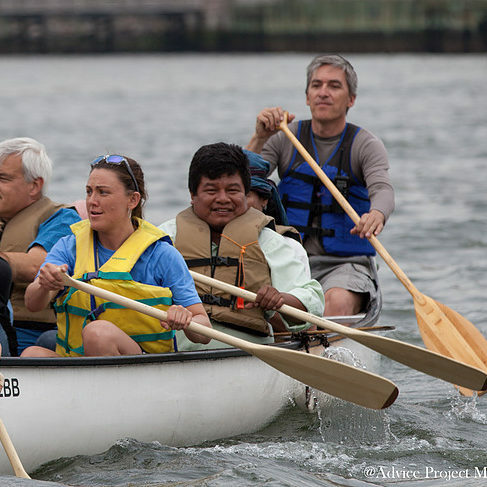 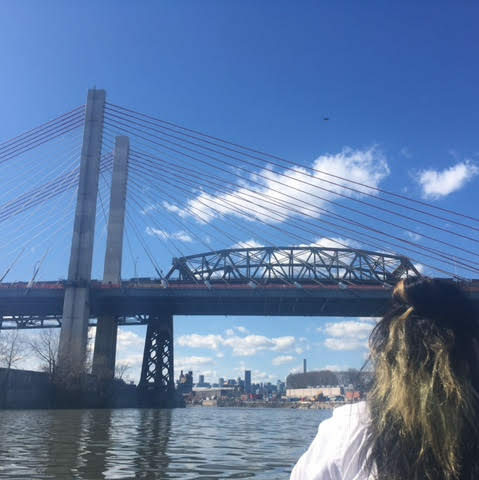 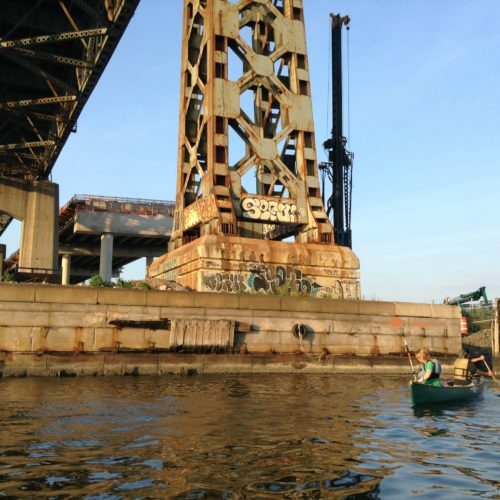 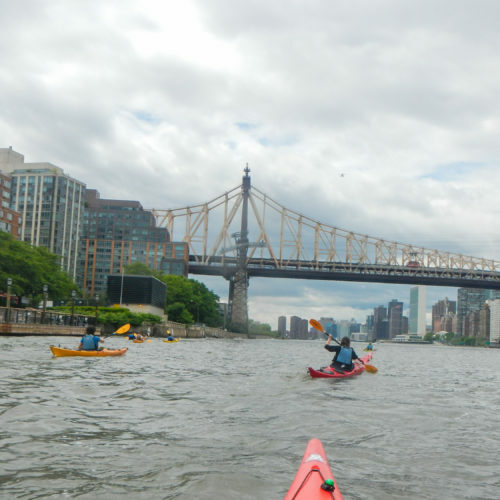 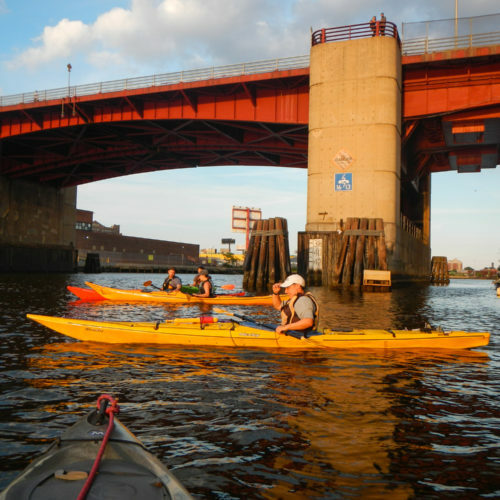 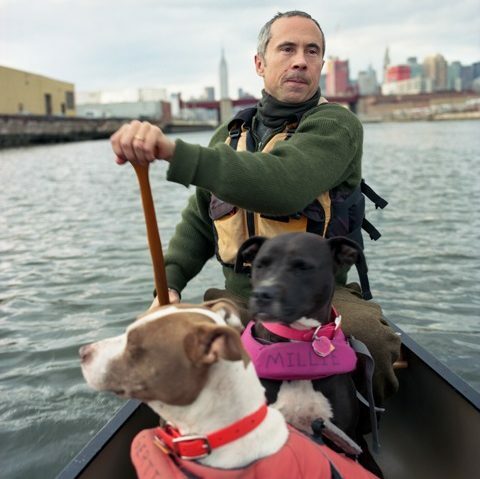 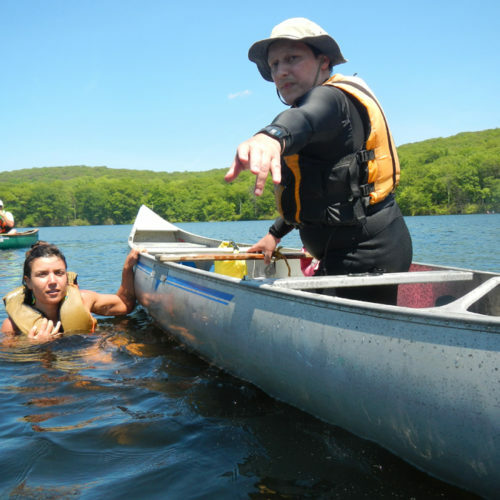 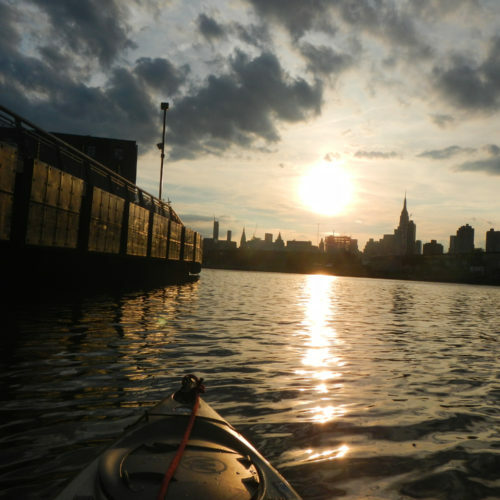 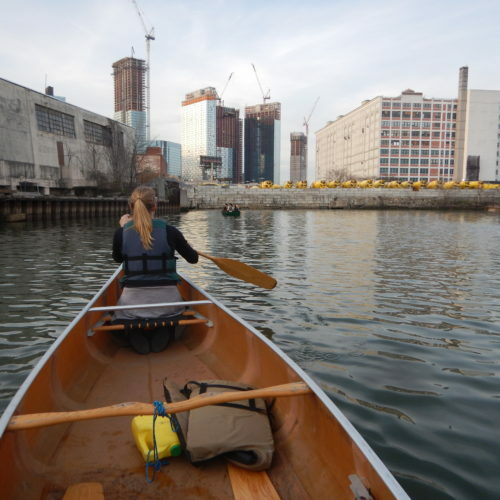 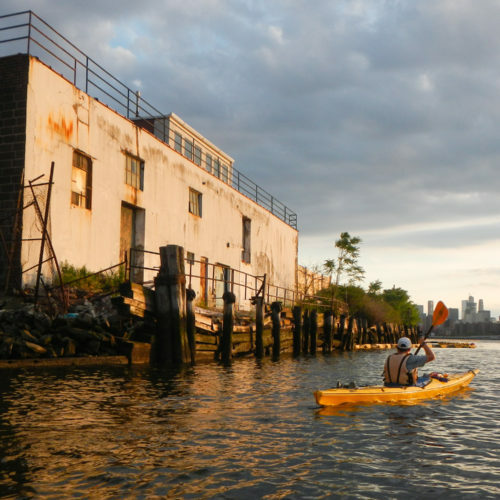 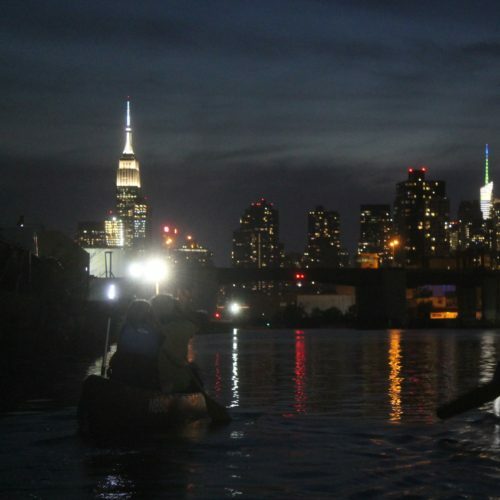 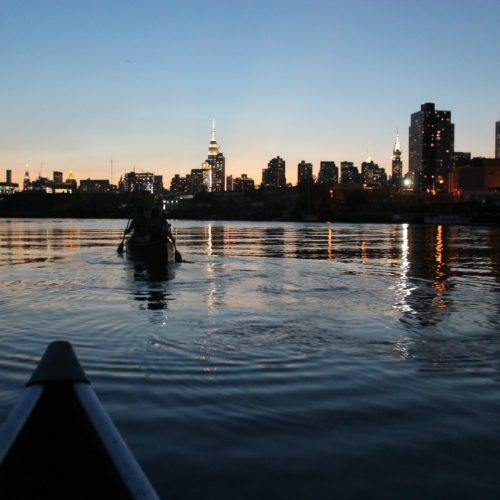 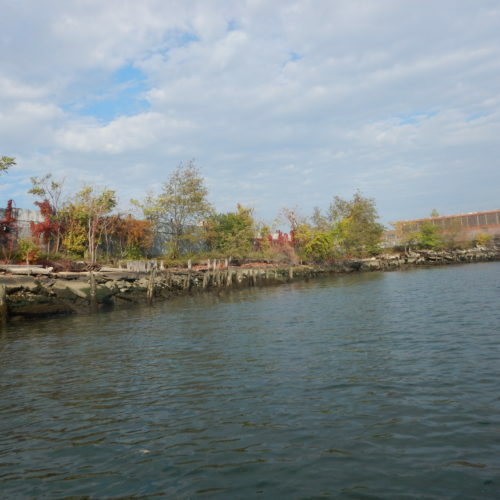 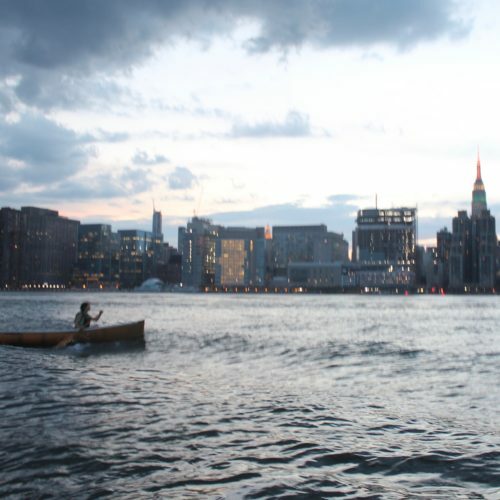 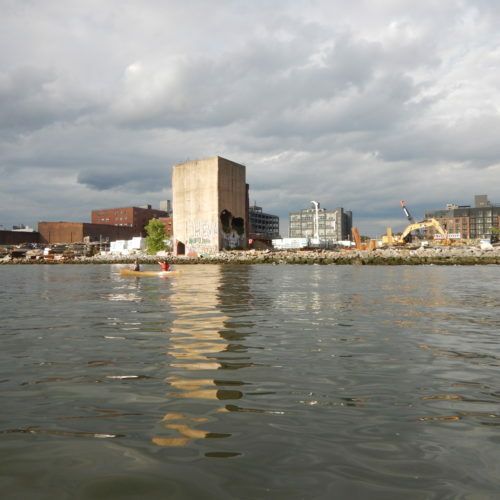 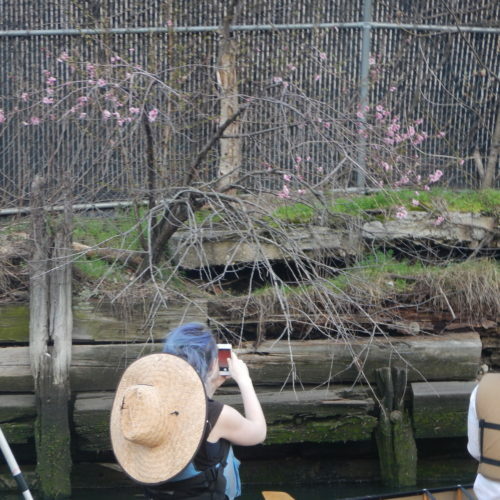 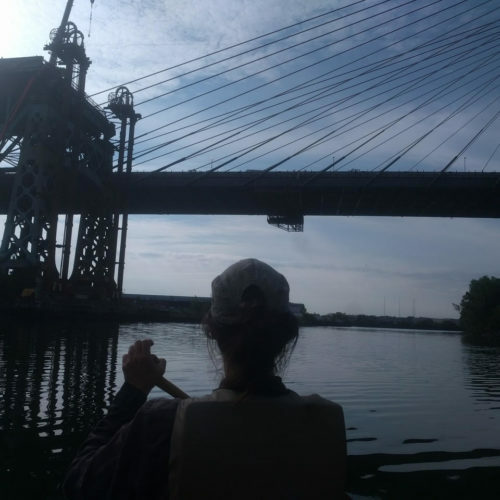 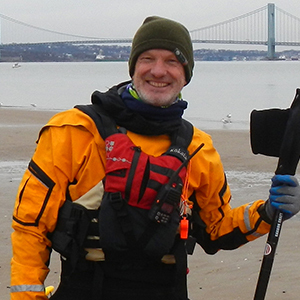 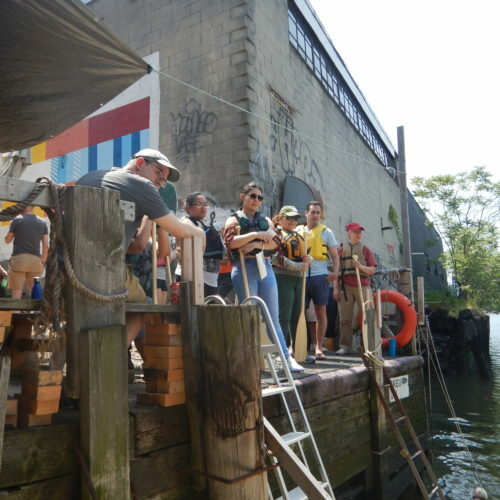 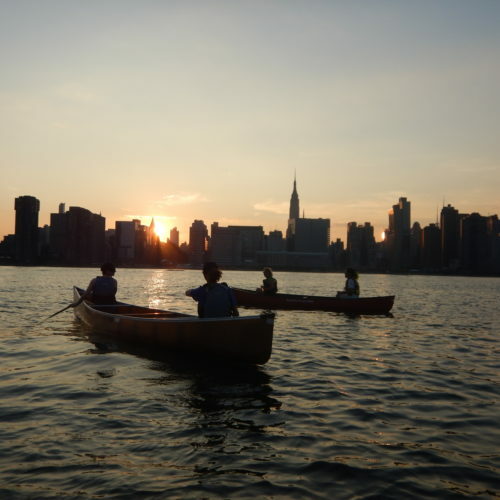 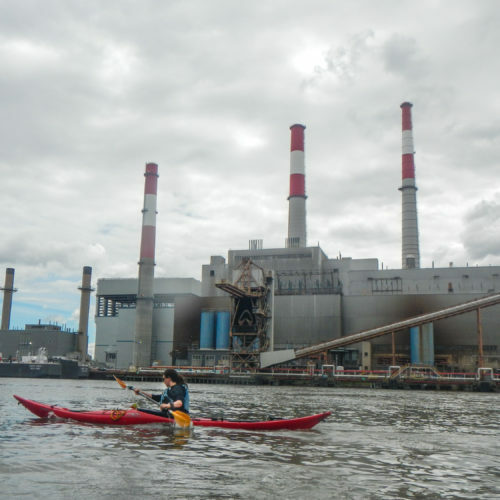 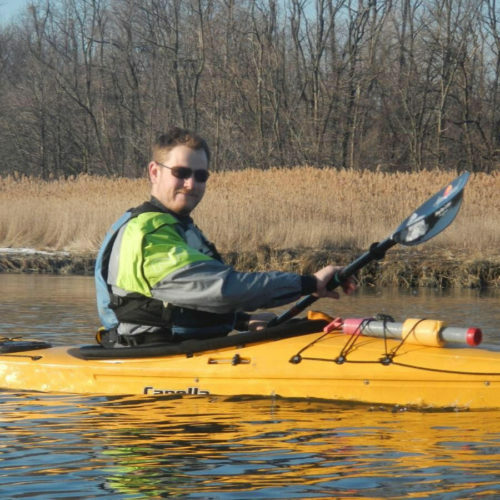 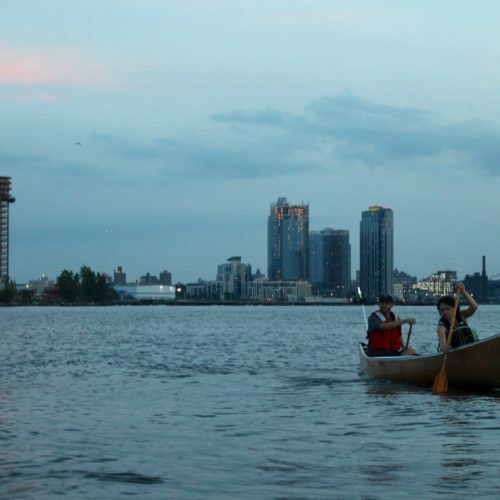 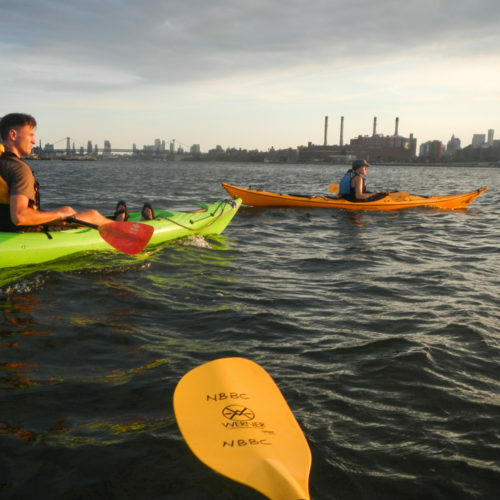 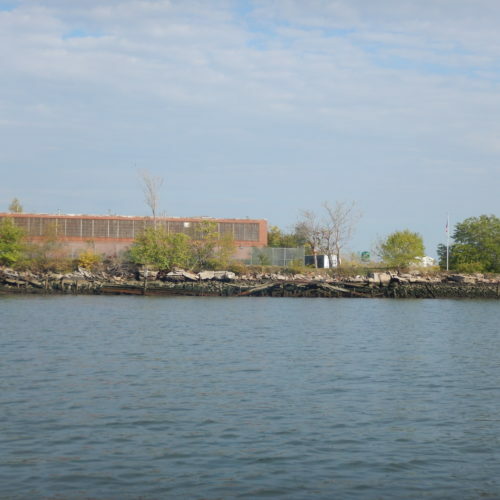 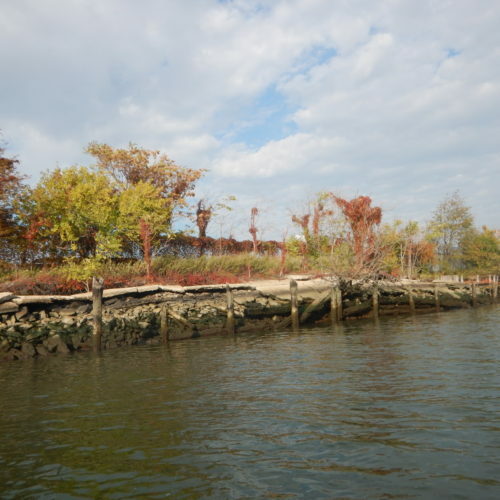 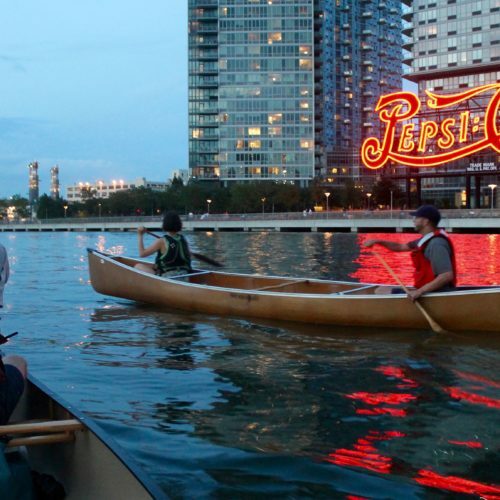 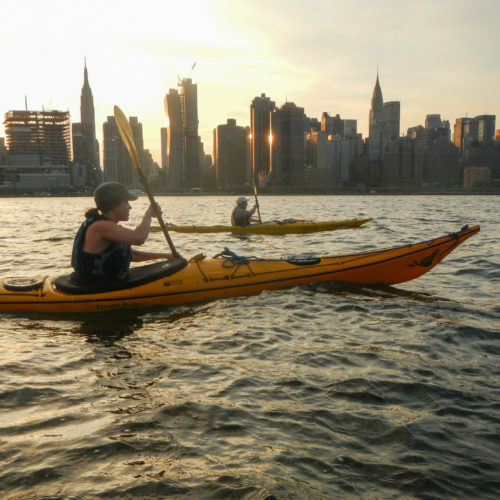 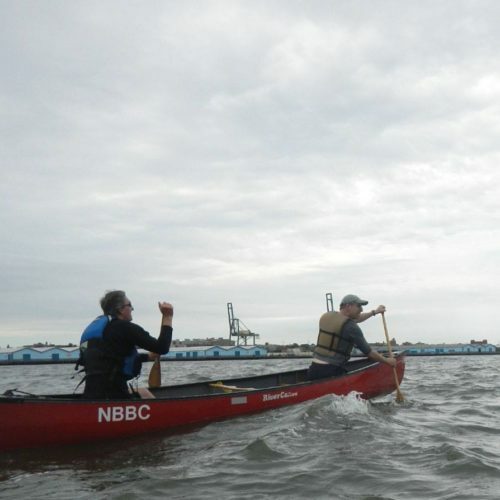 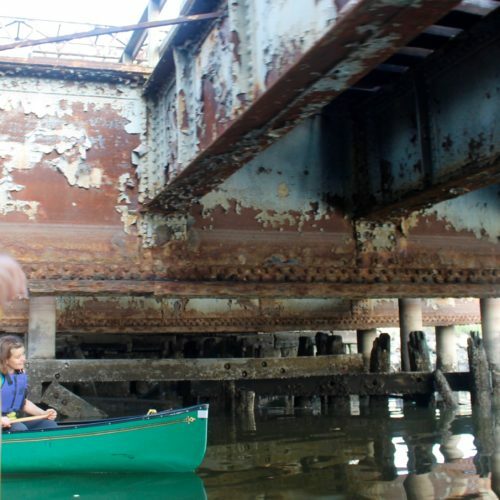 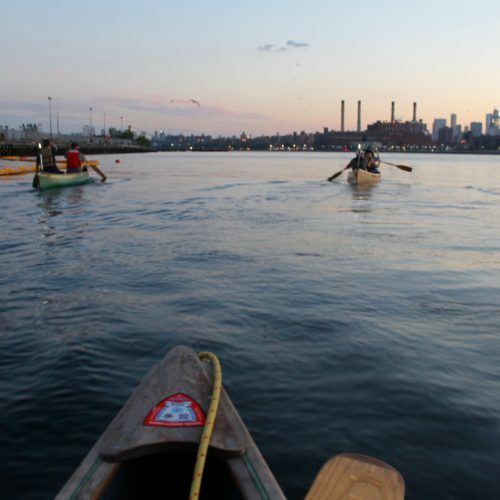 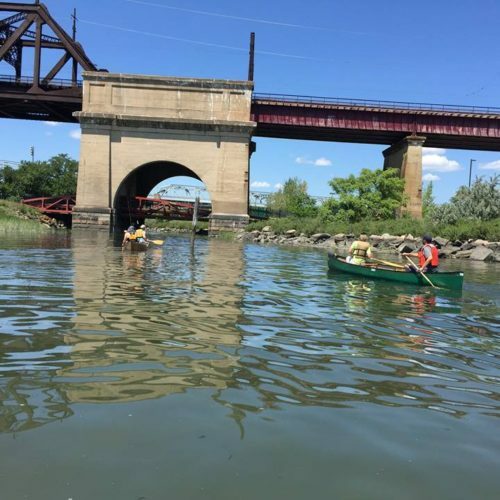 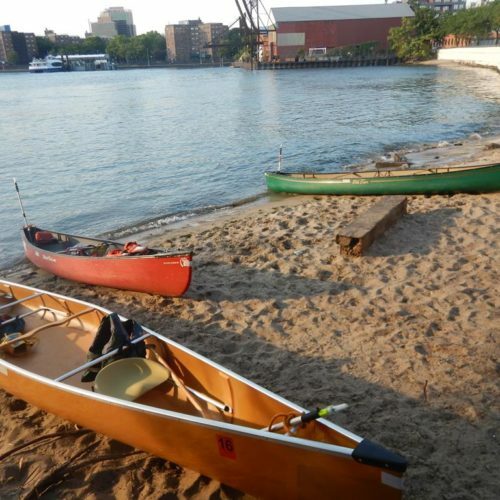 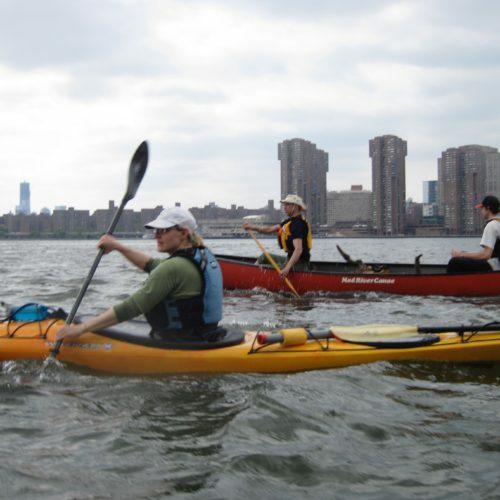 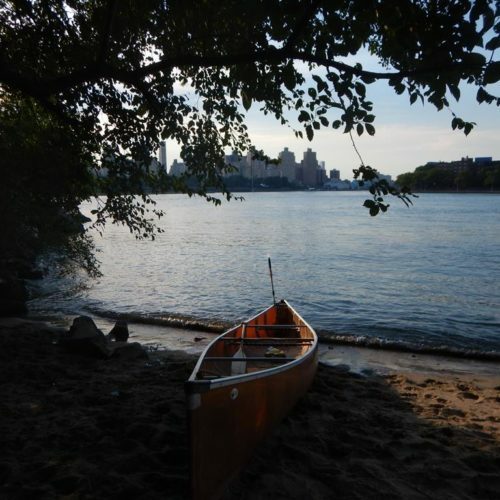 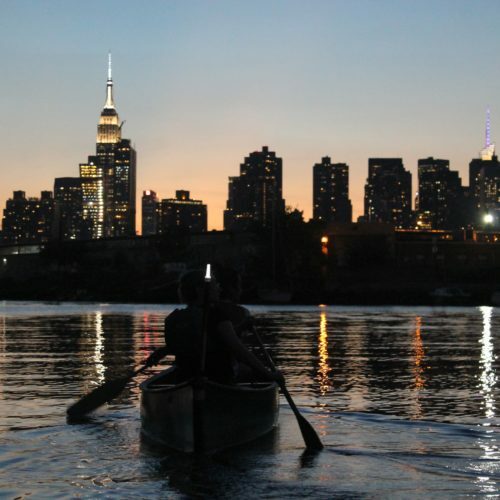 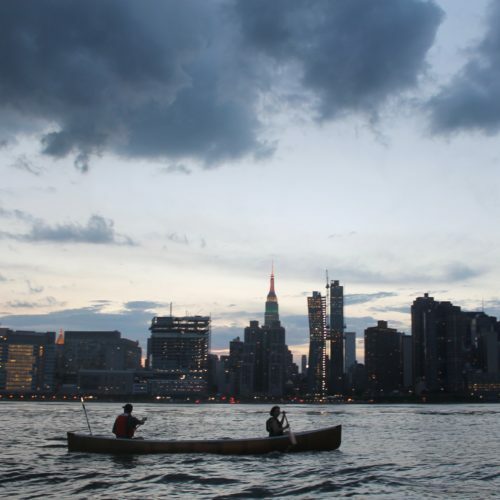 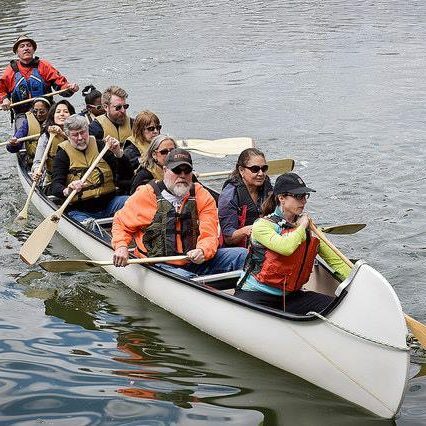 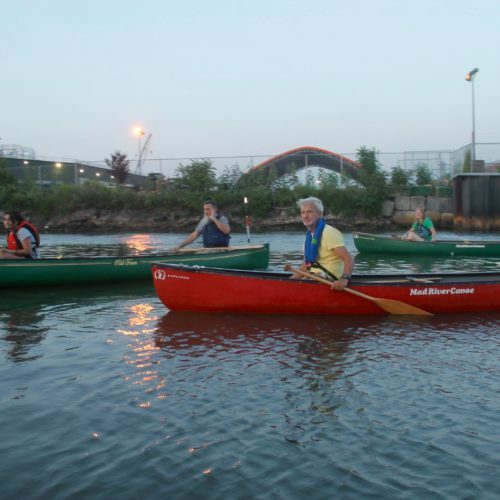 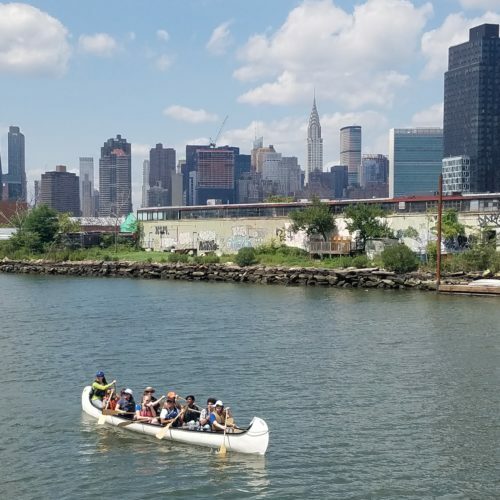 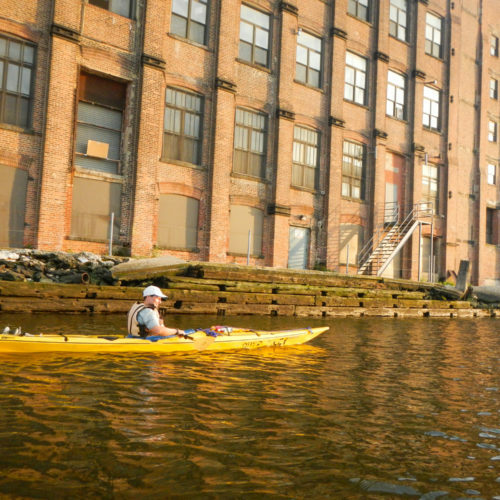 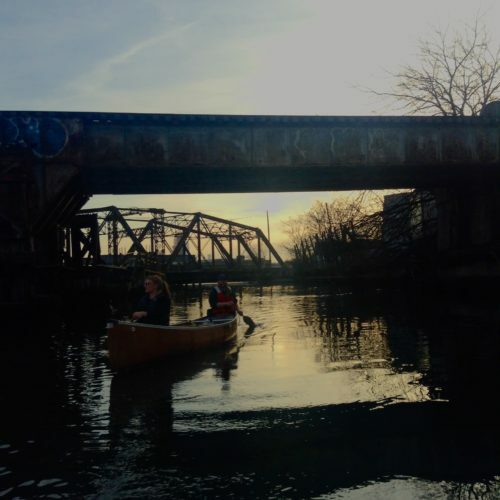 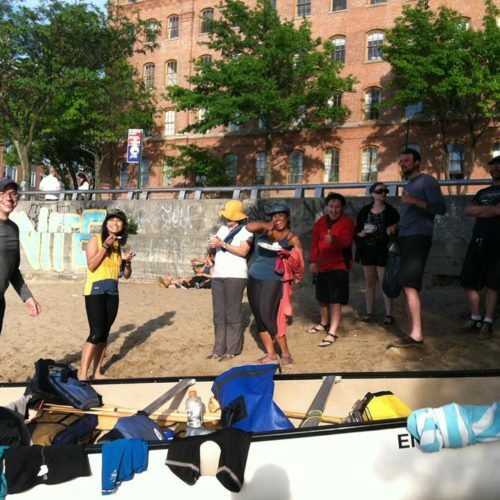 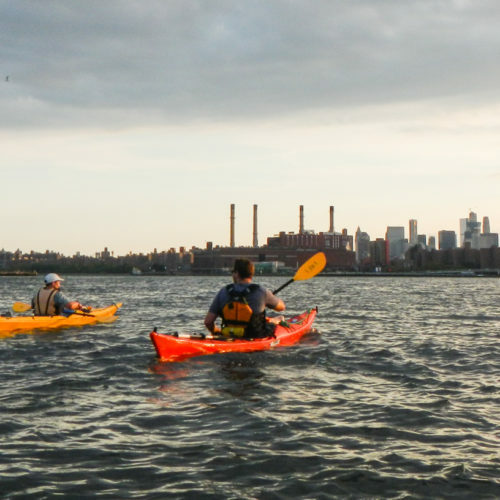 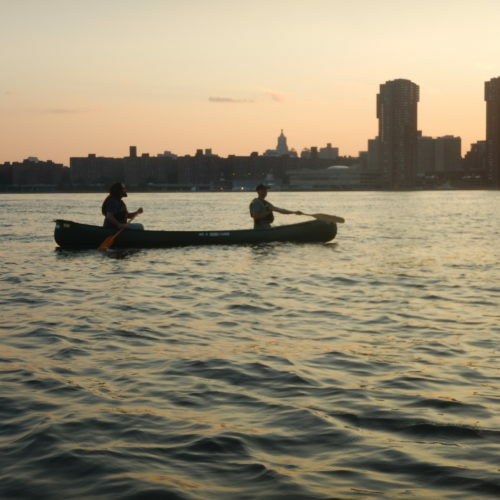 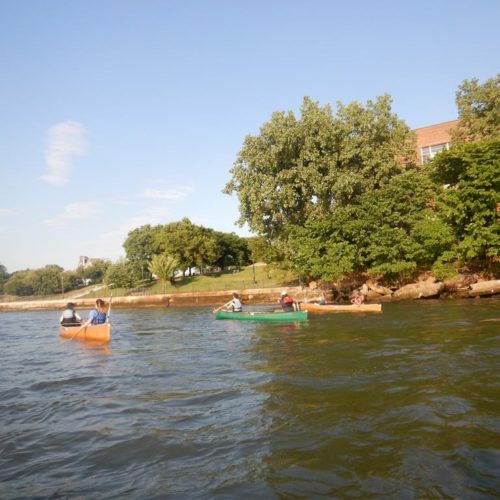 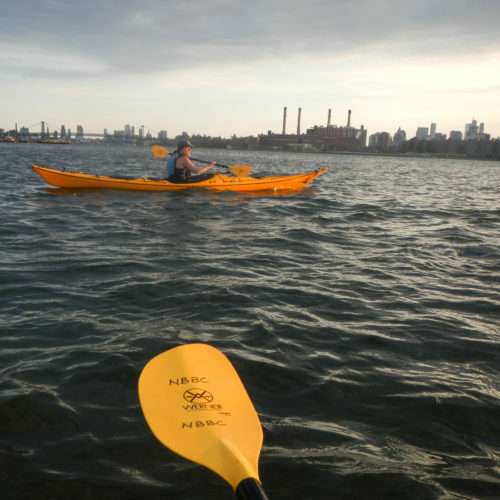 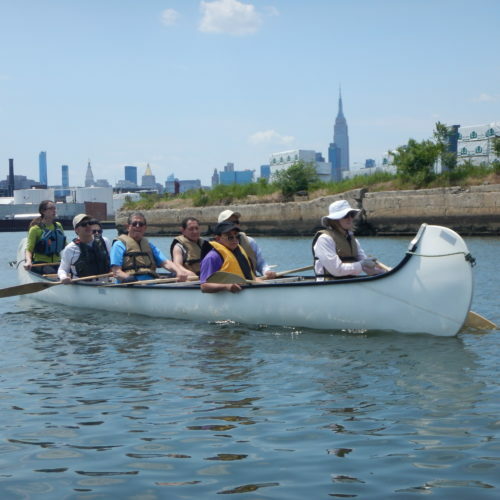 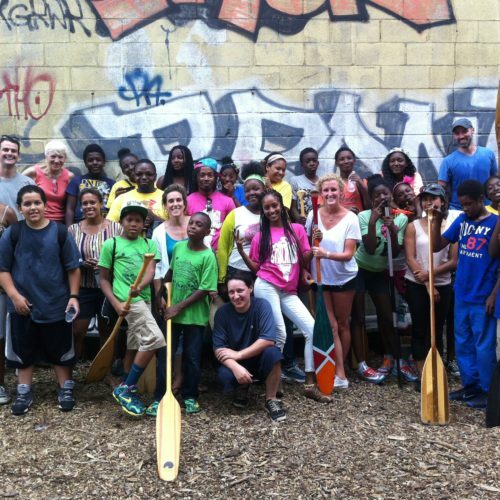 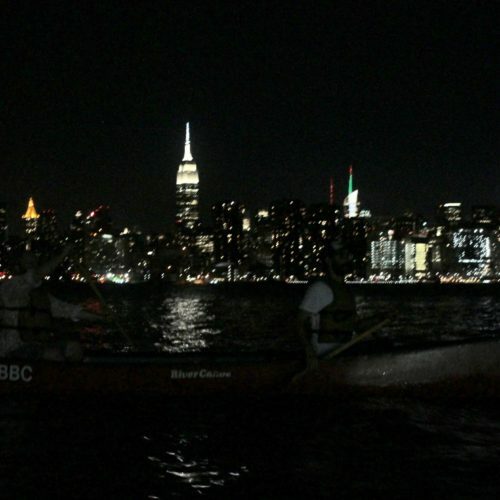 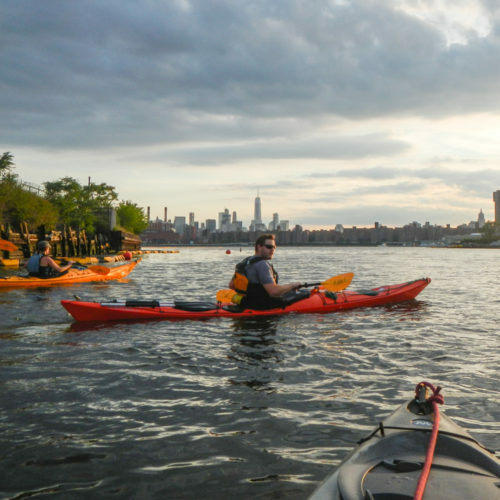 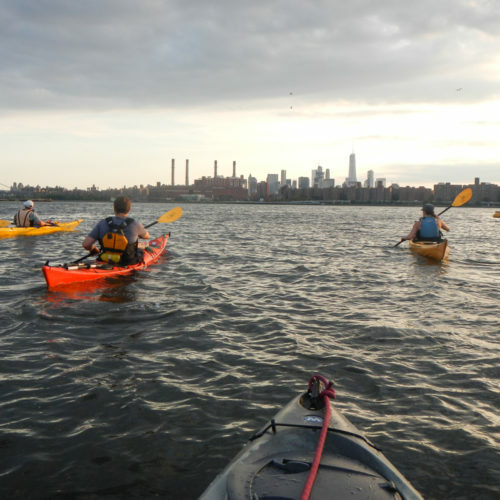 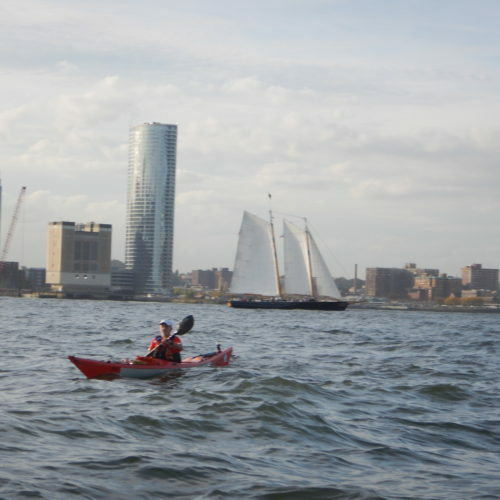 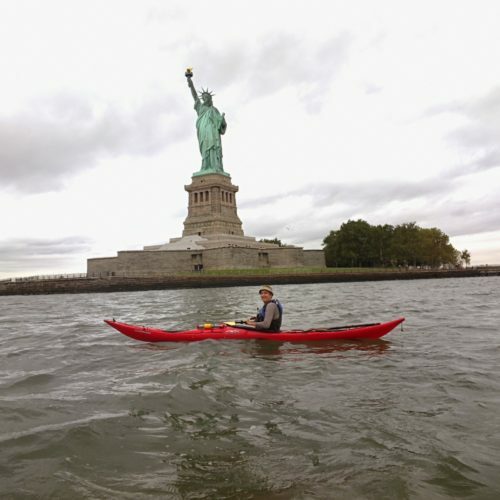 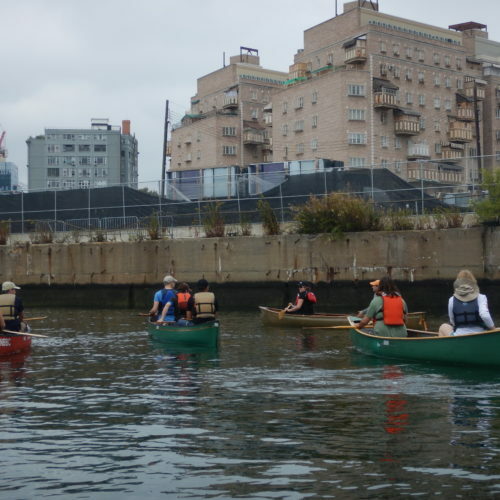 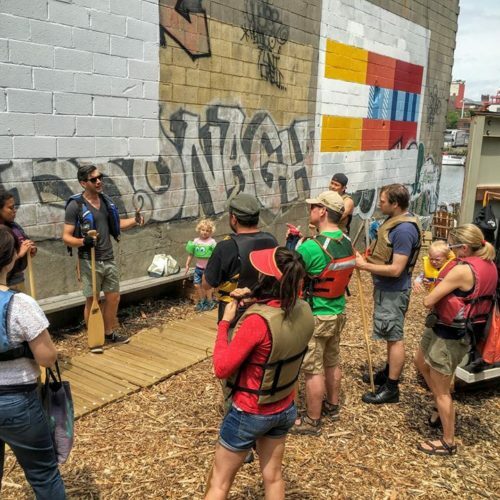 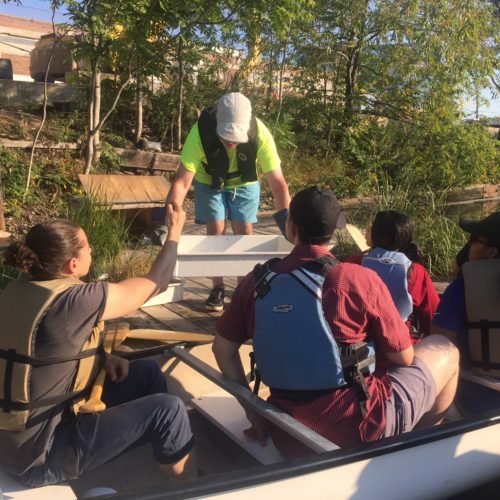 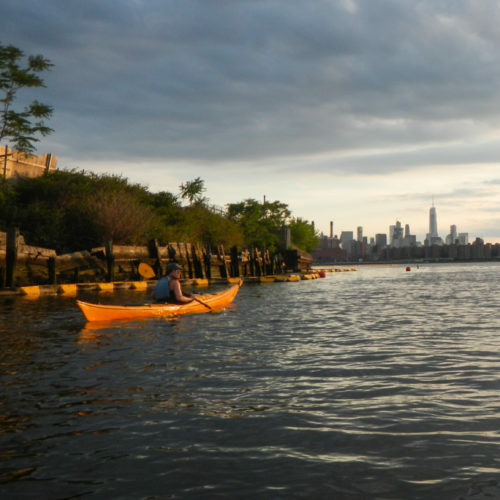 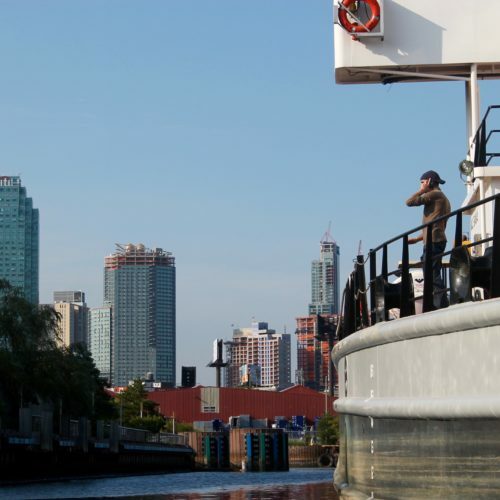 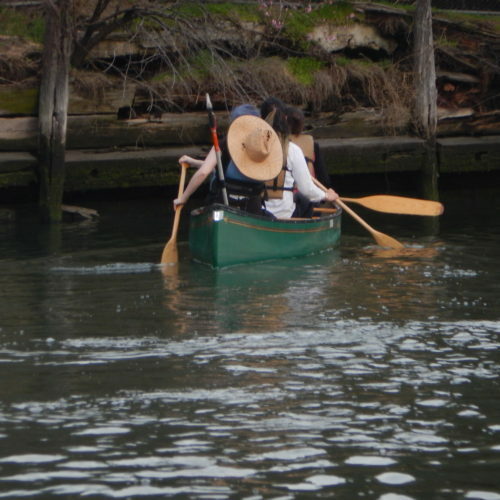 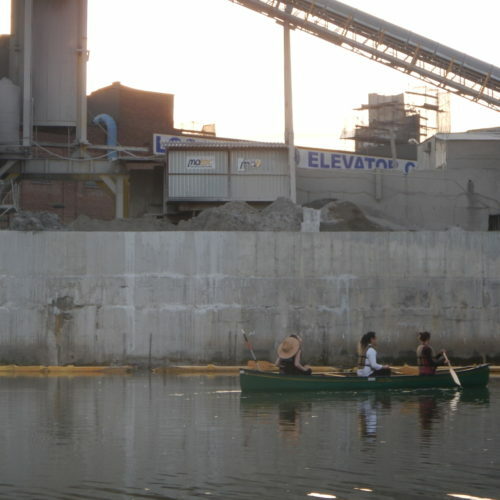 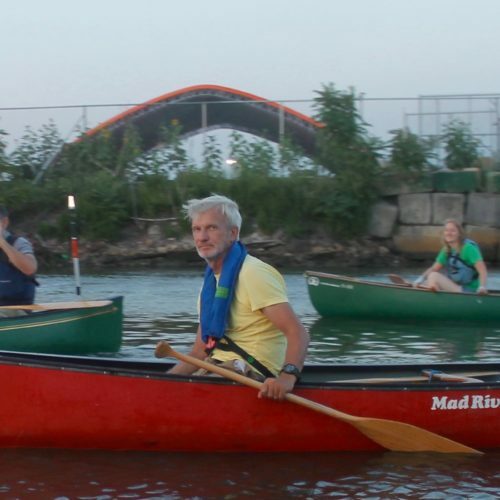 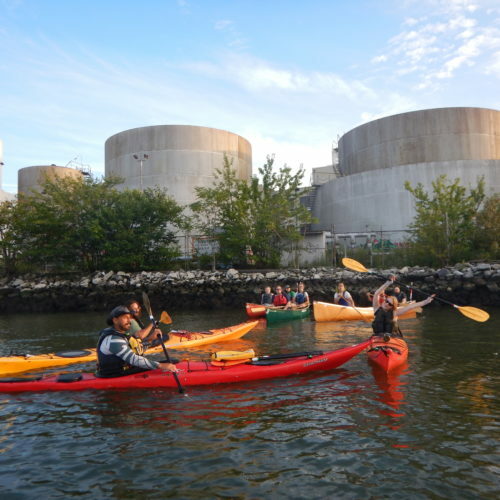 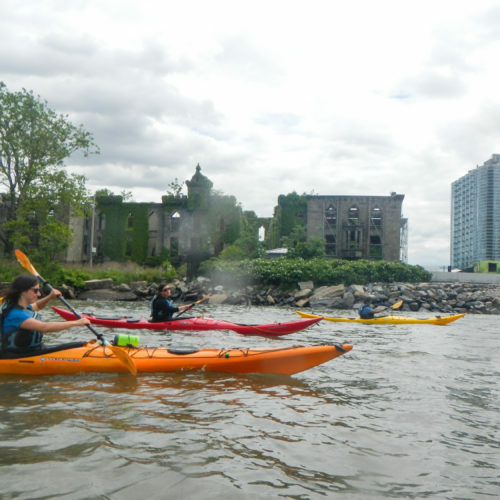 All of NBBC’s East River trips, whether by canoe or kayak, have to take into account the tidal currents of the Hudson River estuary. 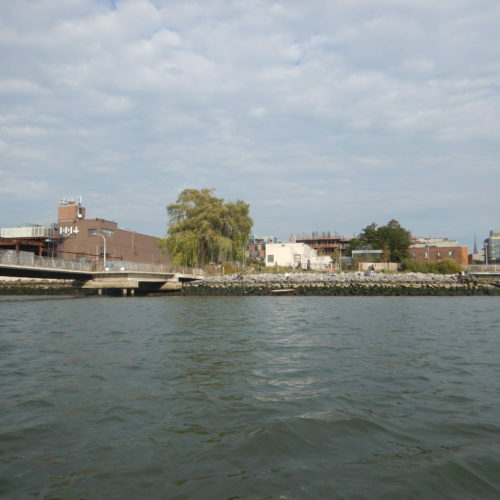 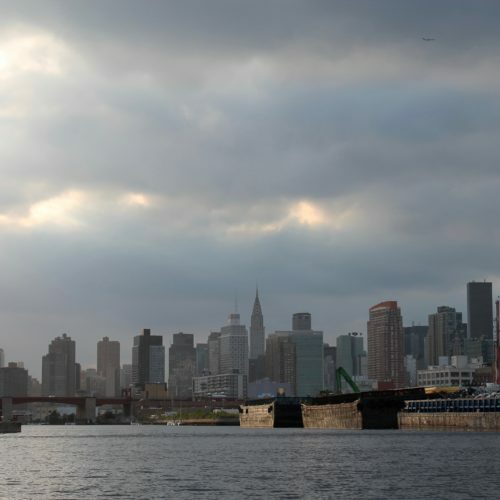 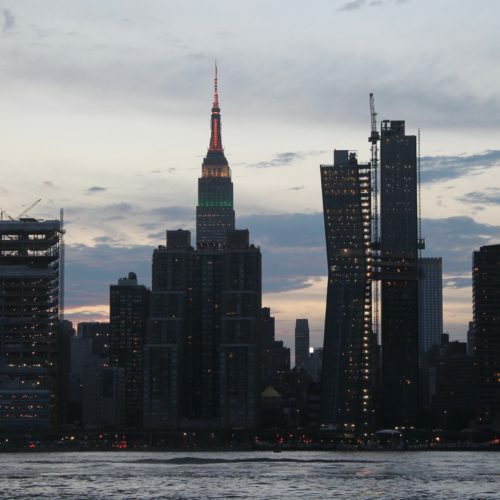 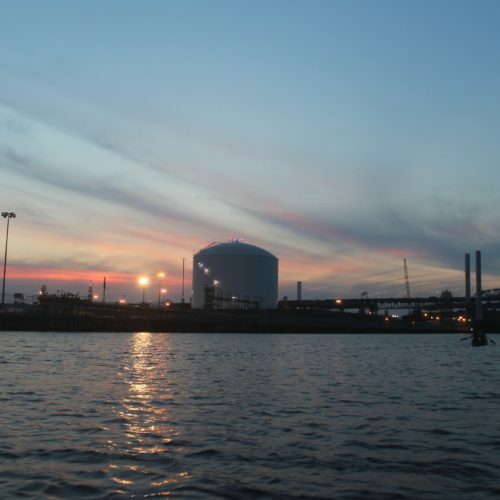 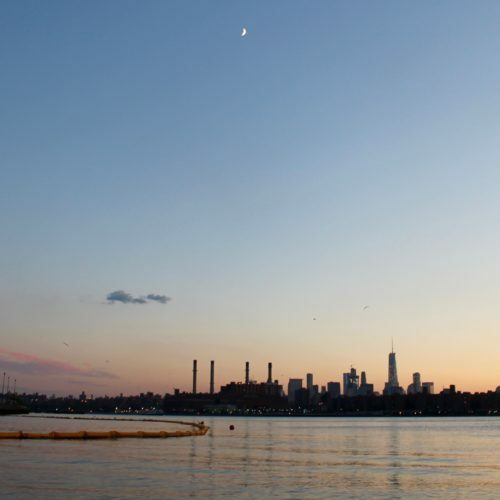 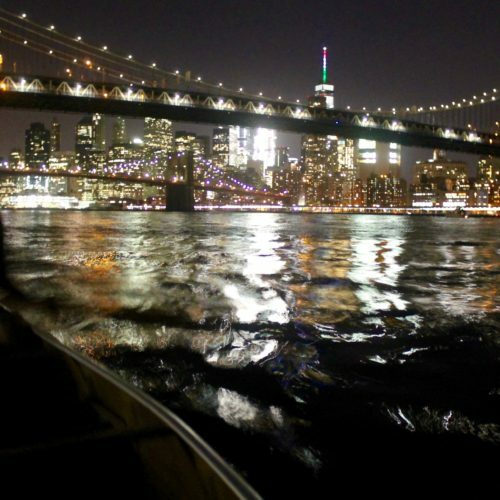 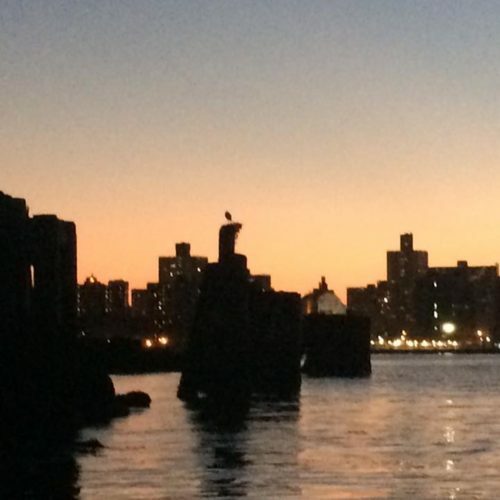 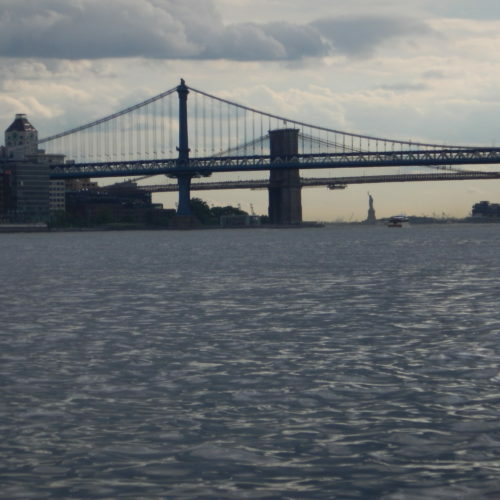 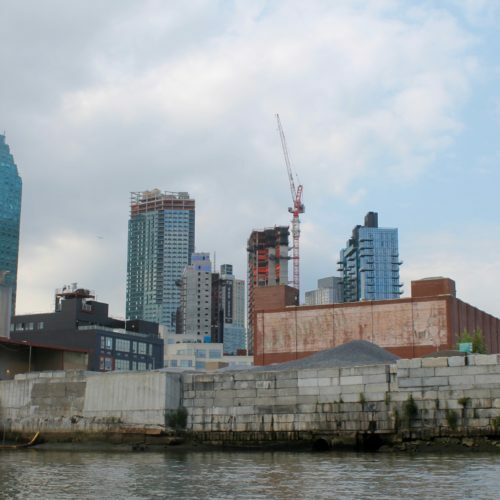 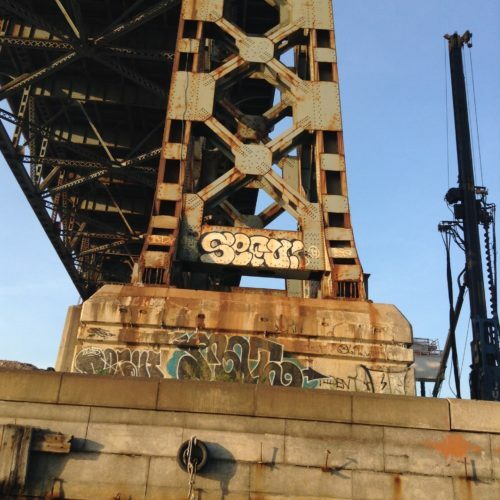 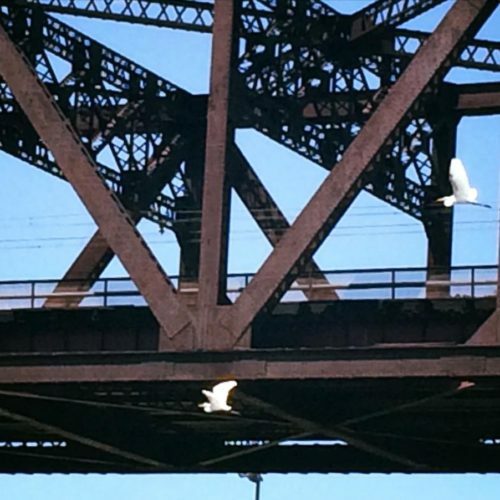 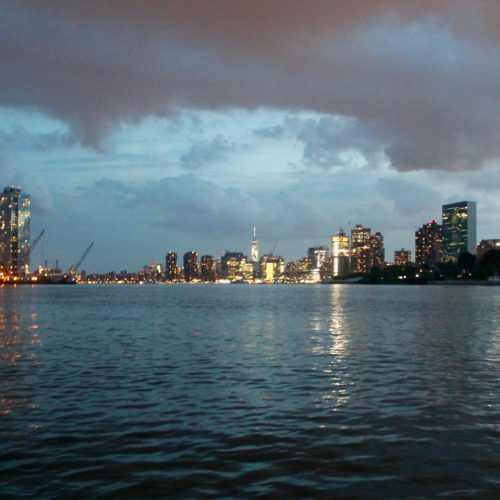 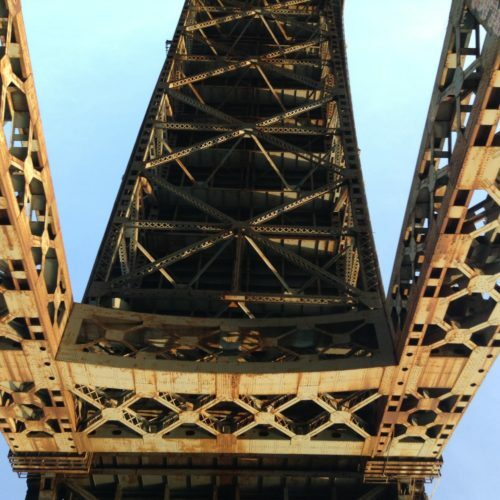 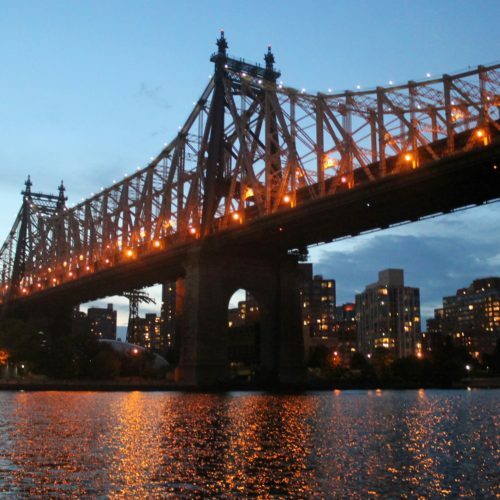 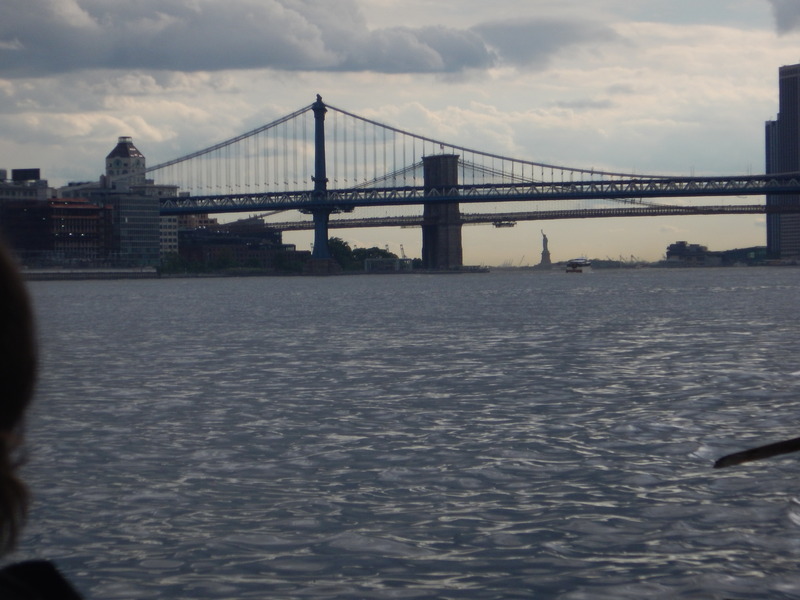 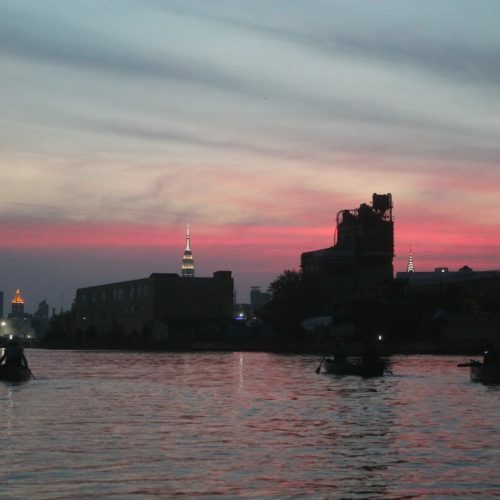 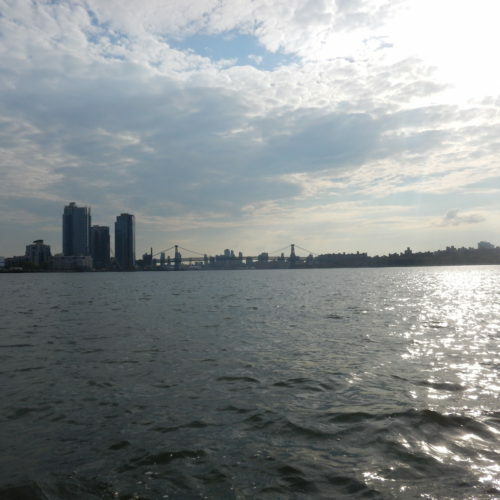 Indeed, the East River, our home waters, is not really a river at all. 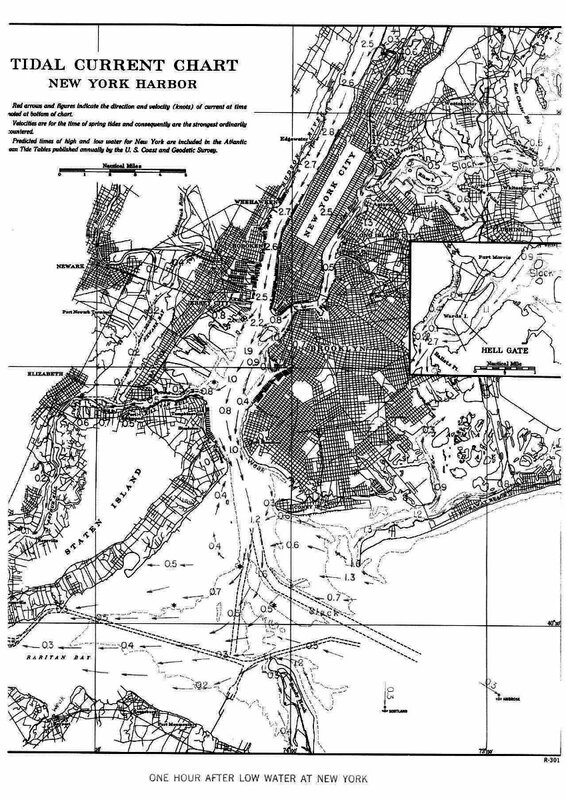 It’s a tidal strait where the water of the Atlantic Ocean cycles around Long Island, ebbing and flooding in a complex interplay of forces. 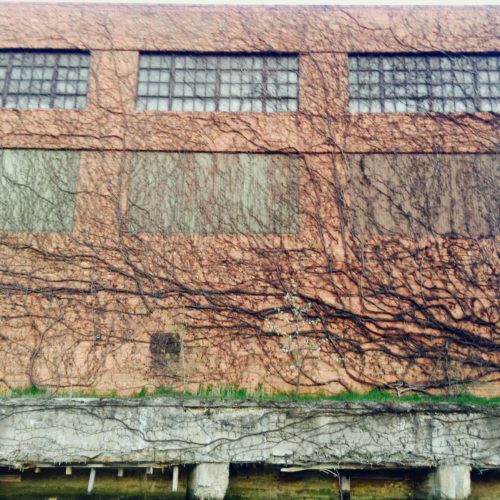 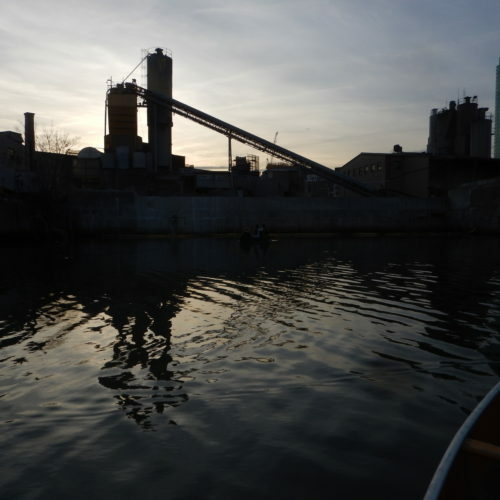 Tidal Currents, 2017, off 31st St. 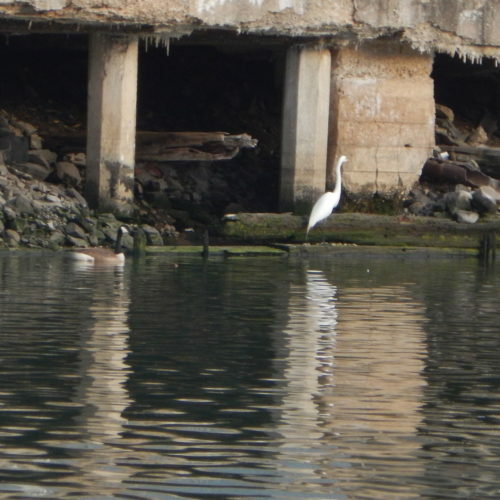 Tide and current shape the estuary now as they have done for centuries and centuries . 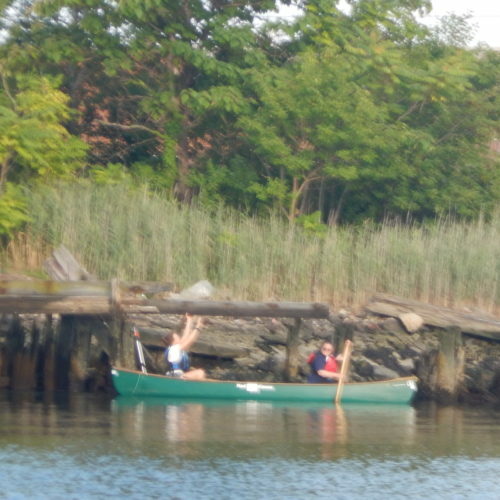 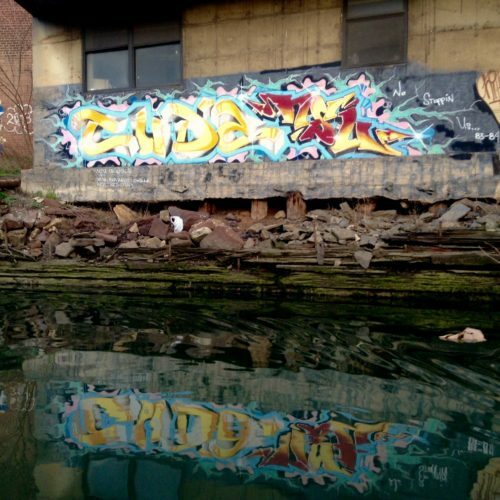 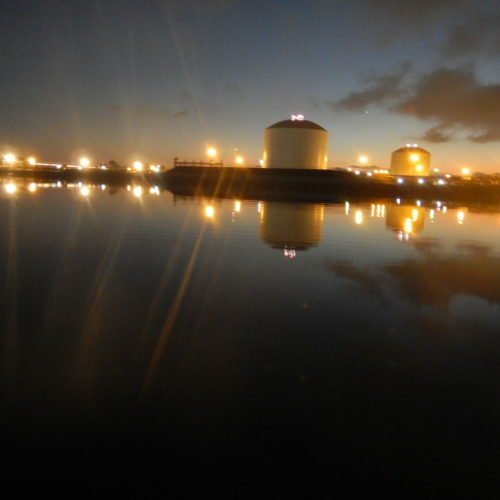 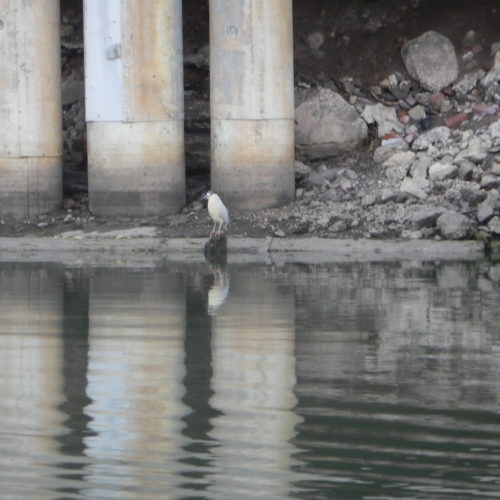 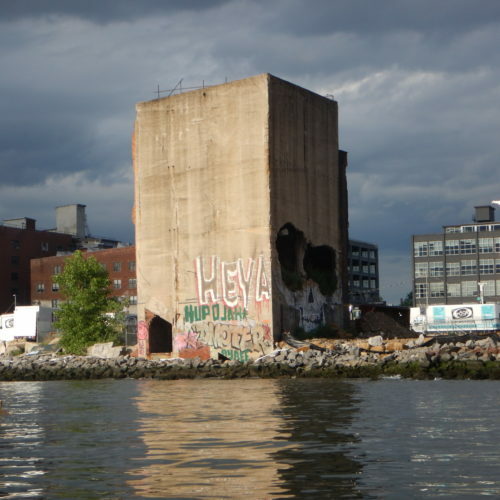 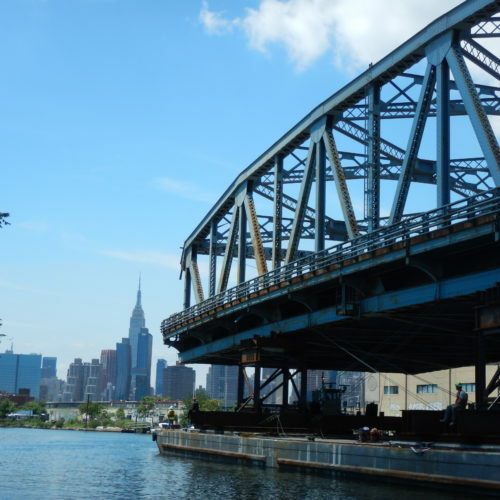 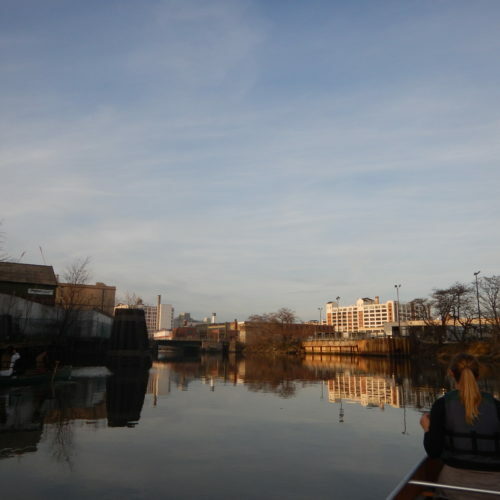 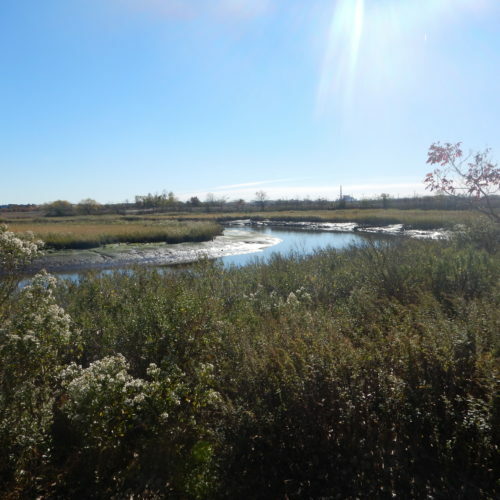 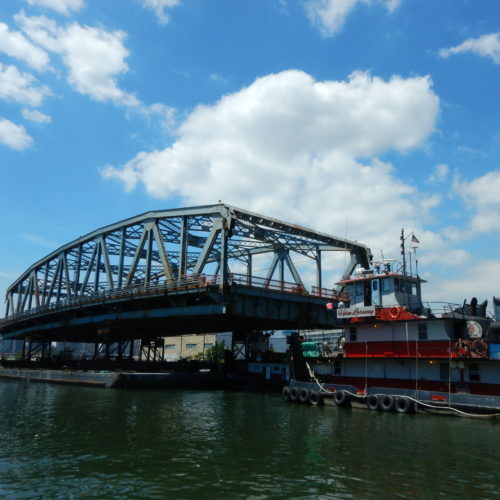 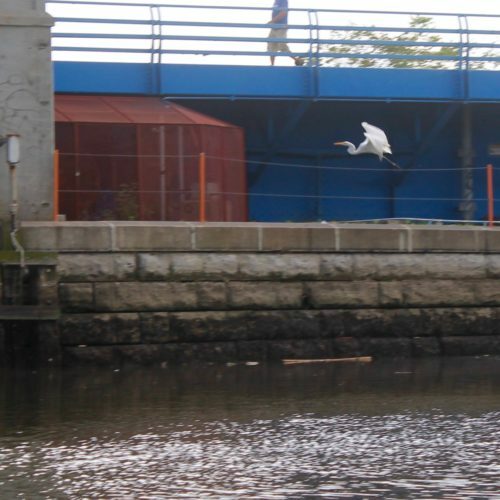 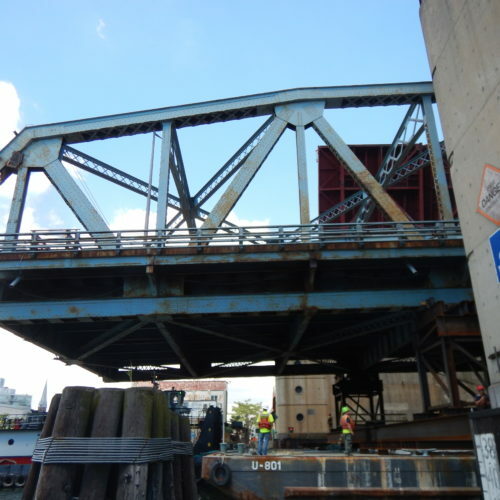 . .
And, of course, when the currents won’t cooperate, we always have Newtown Creek! 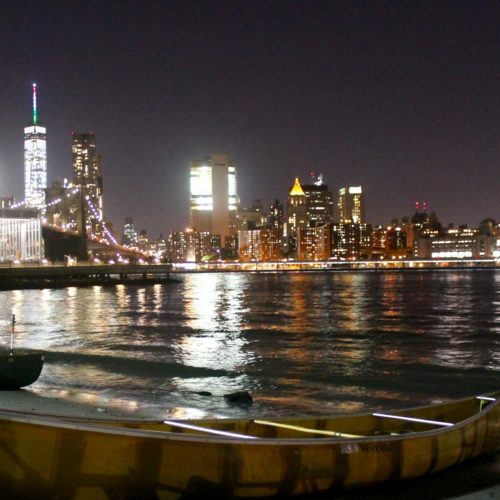 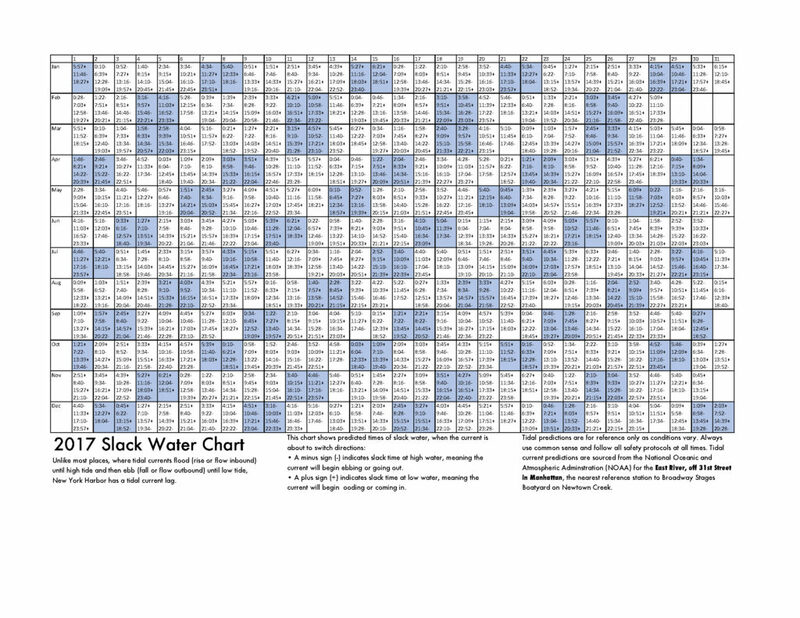 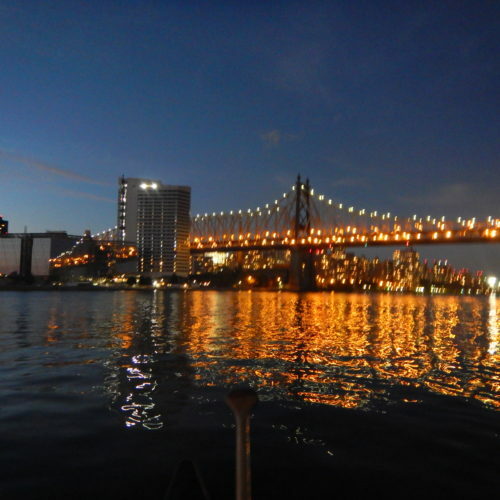 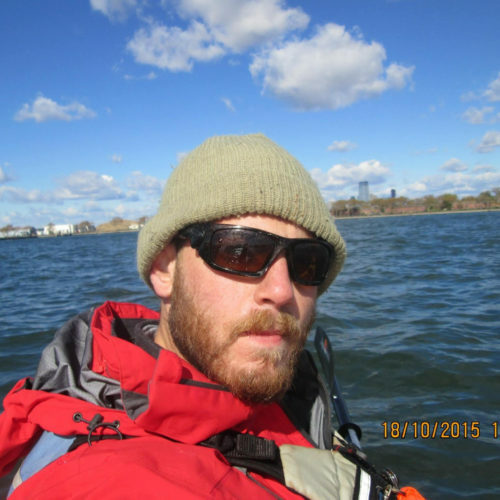 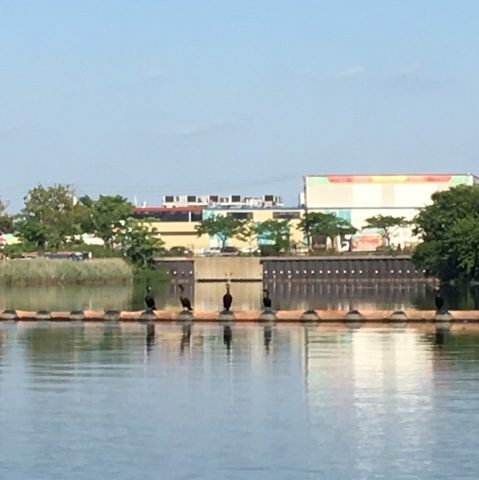 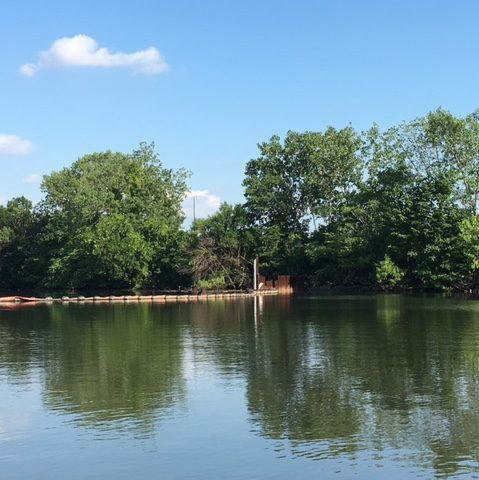 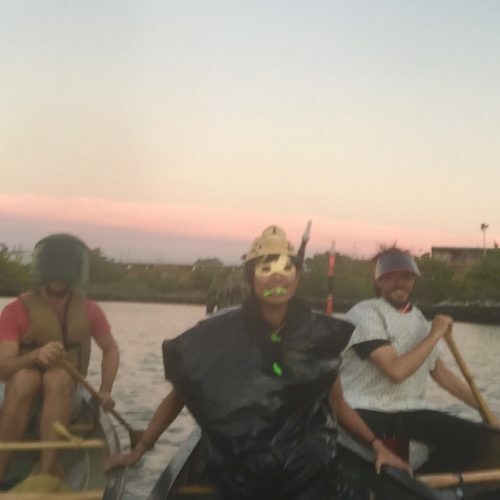 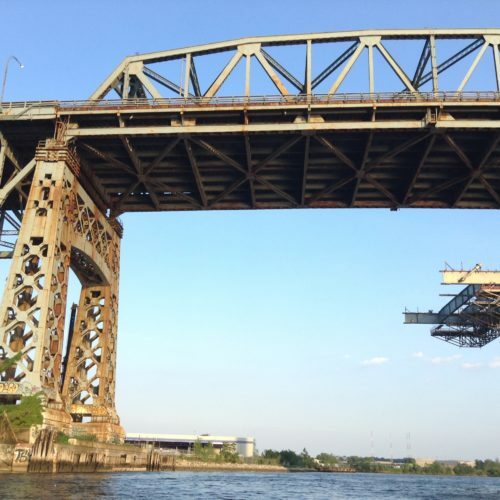 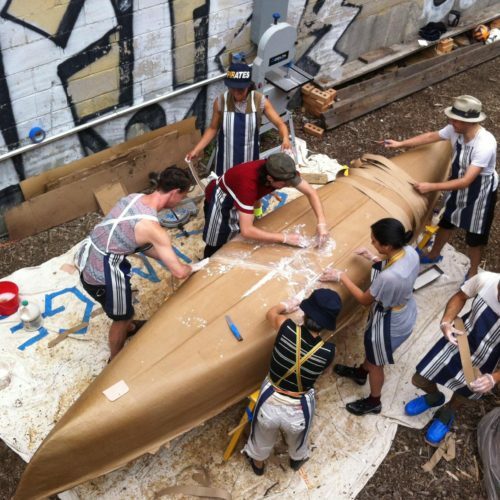 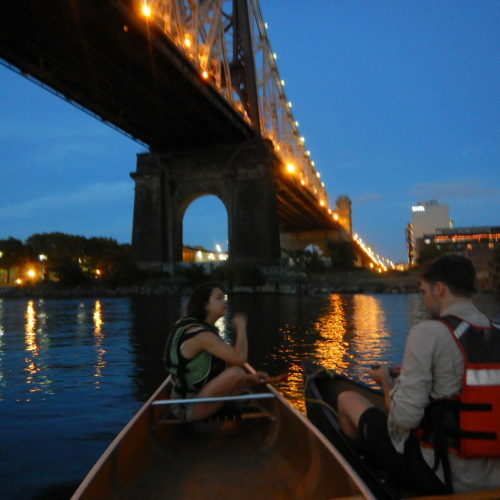 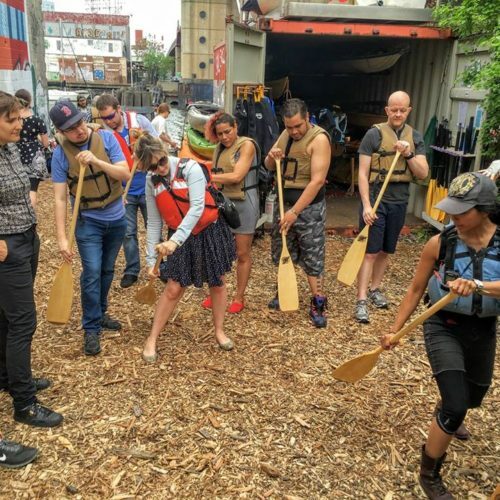 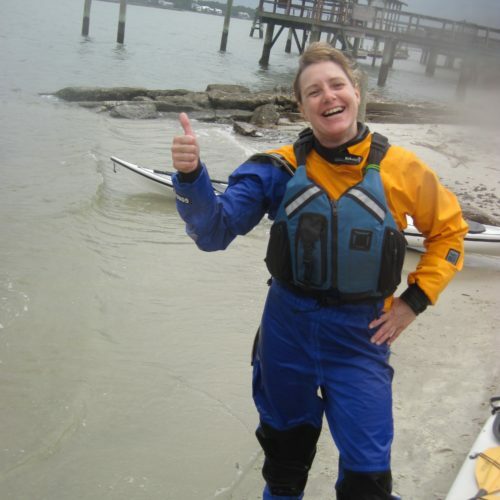 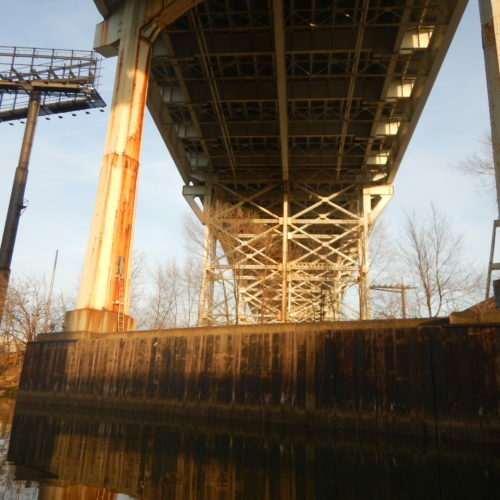 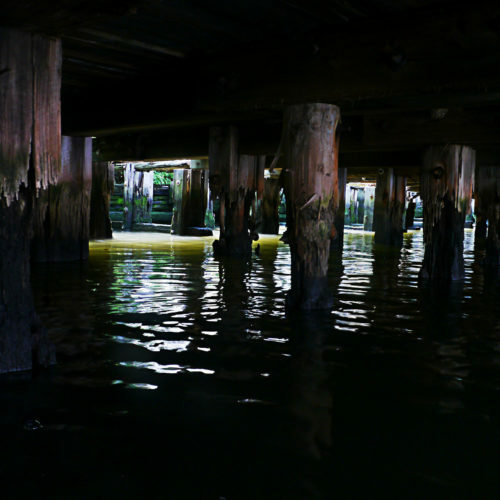 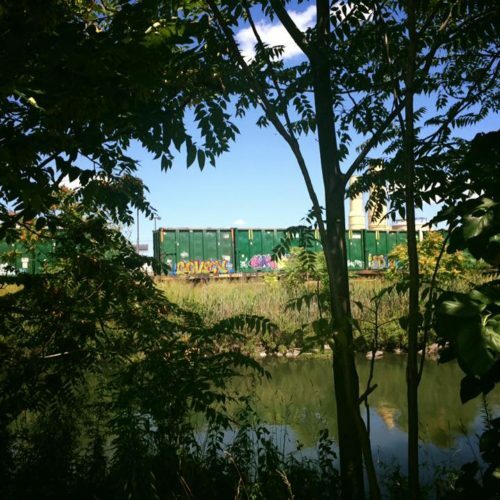 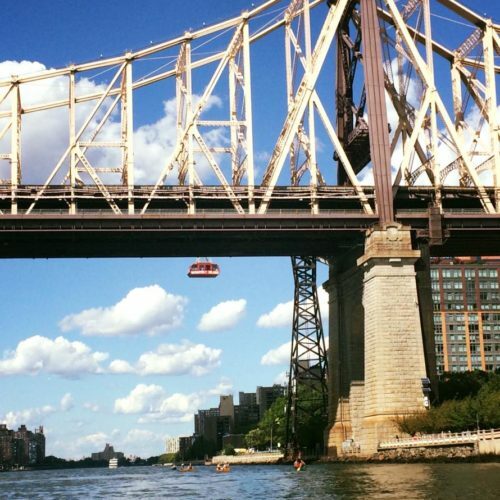 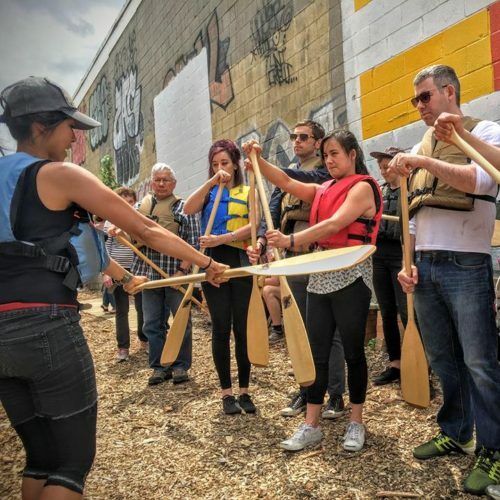 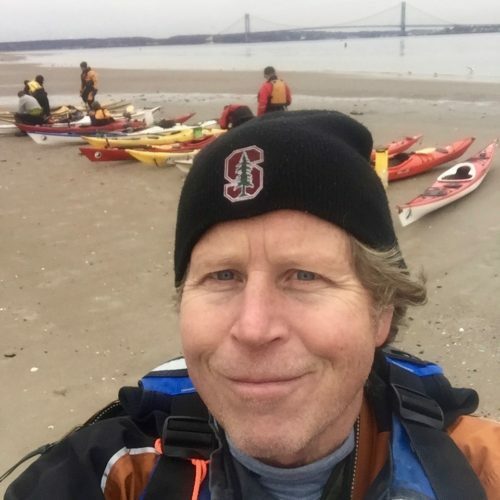 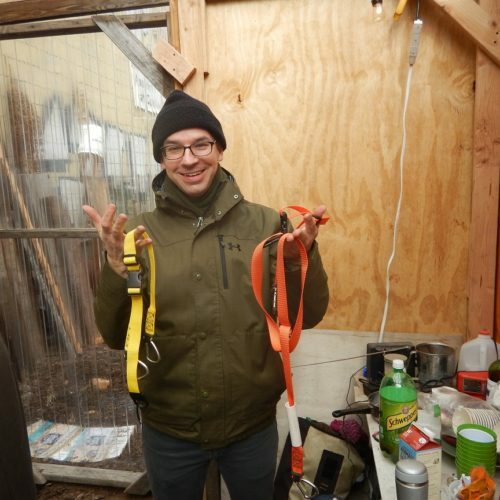 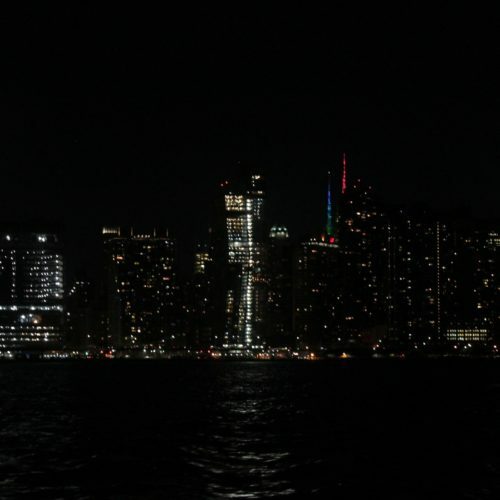 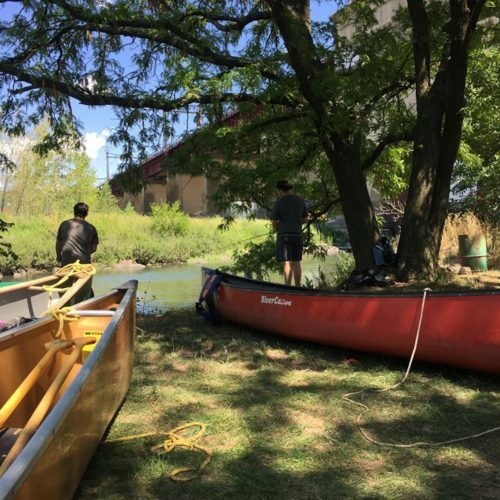 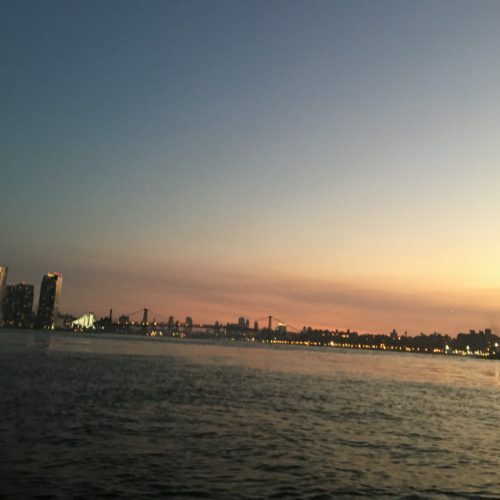 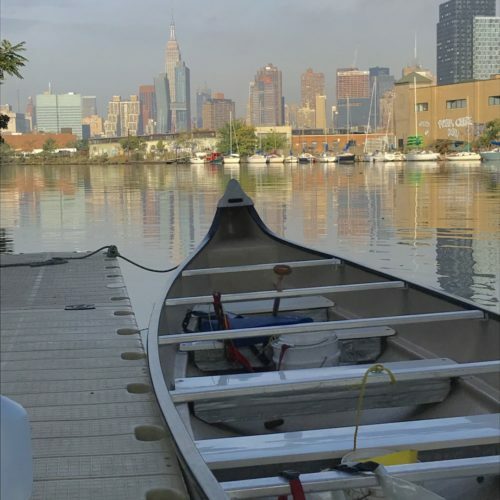 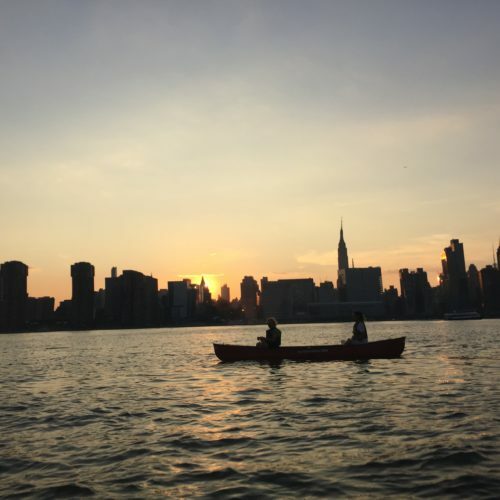 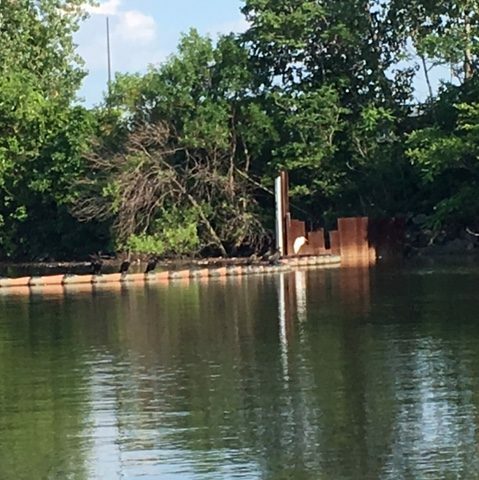 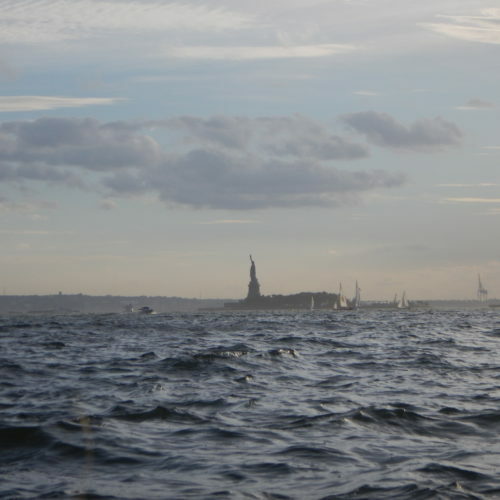 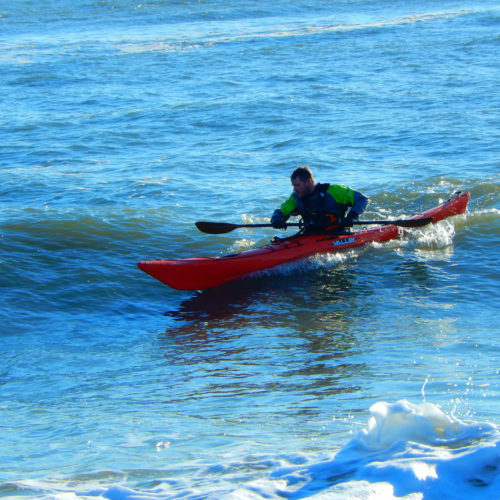 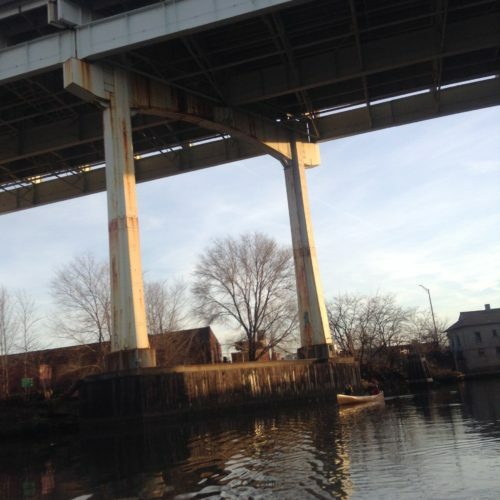 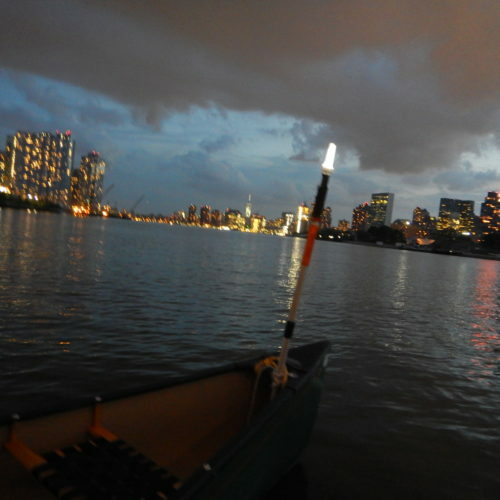 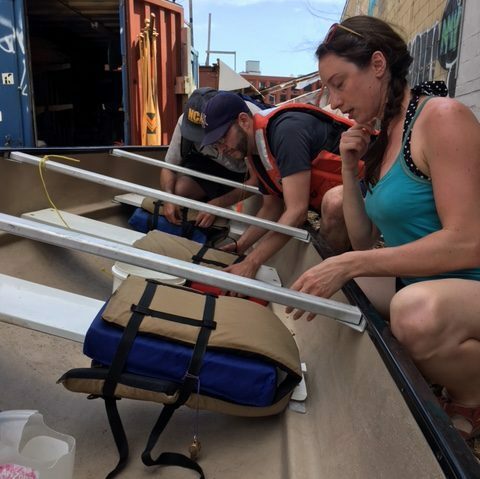 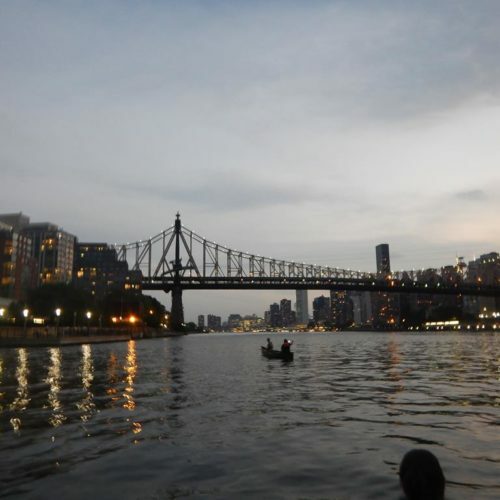 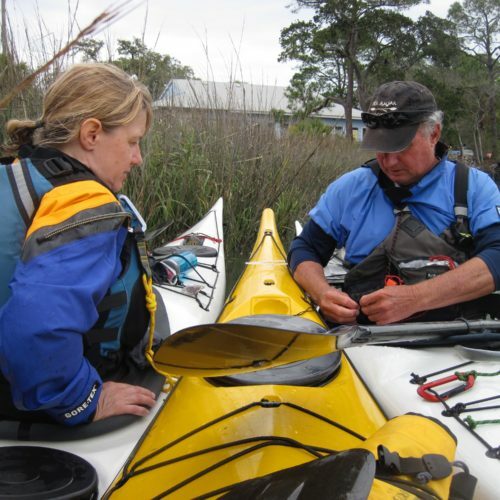 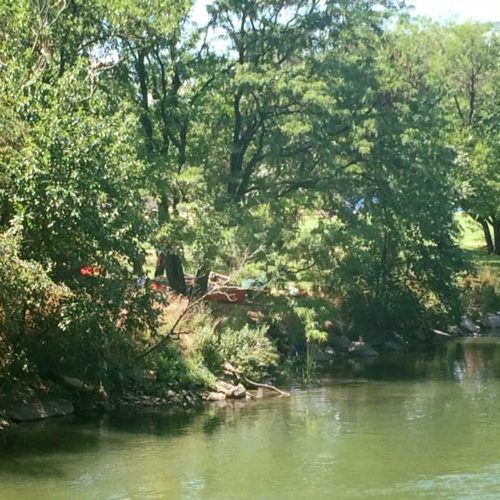 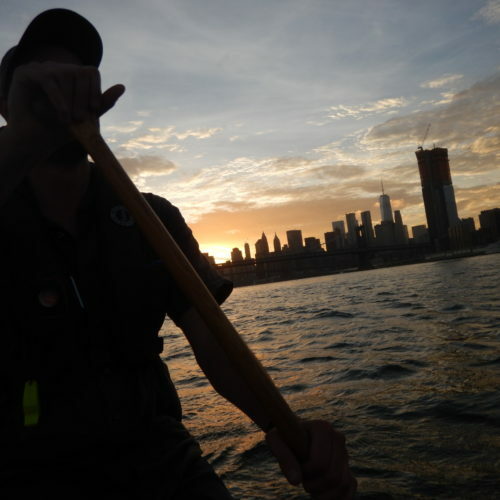 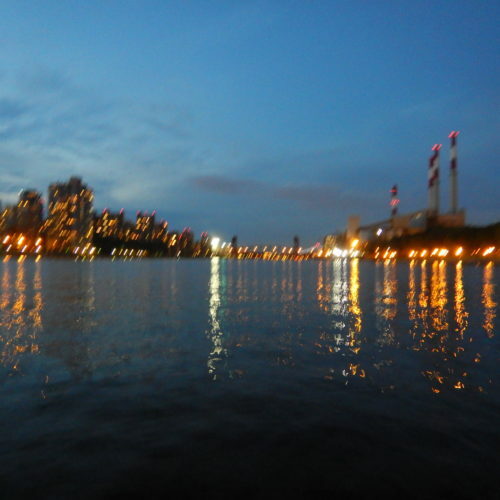 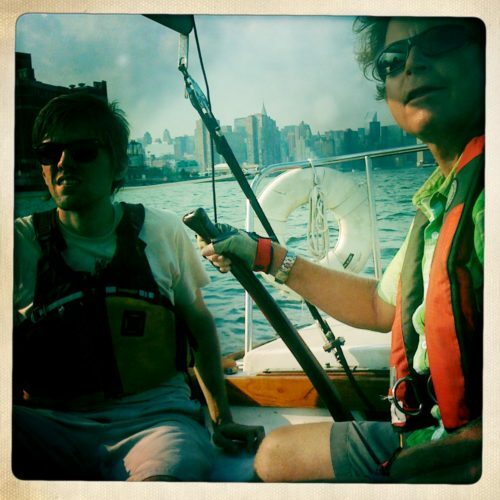 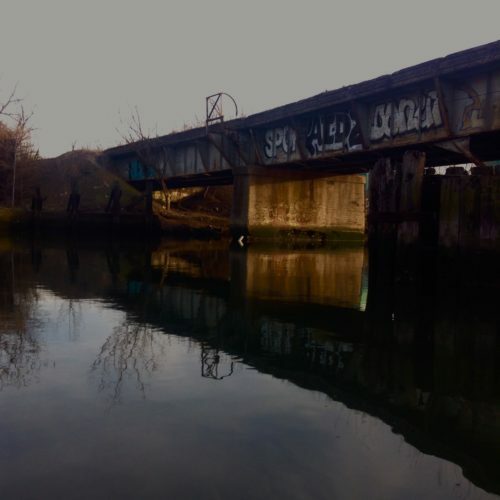 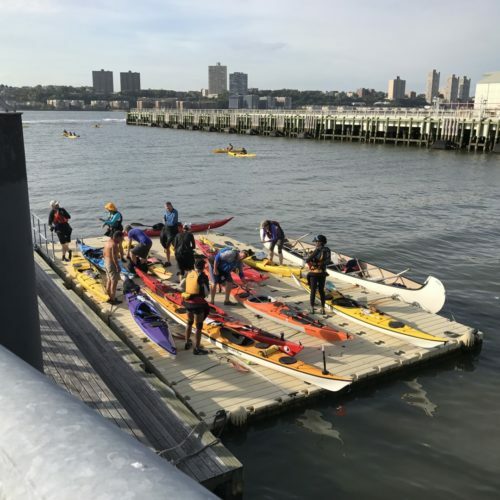 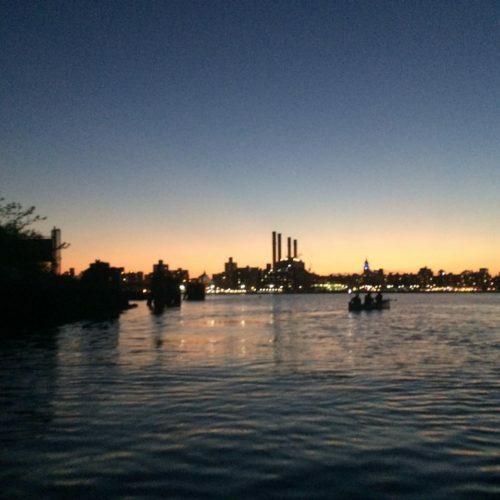 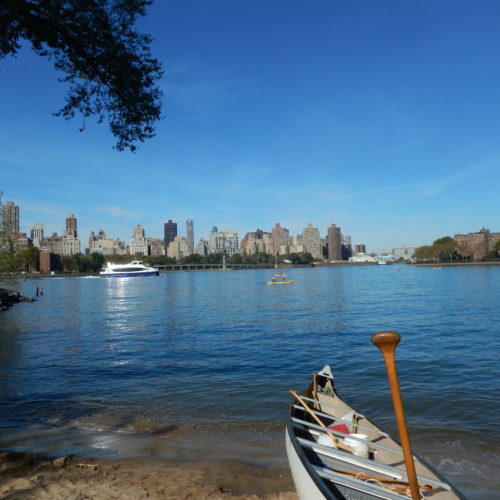 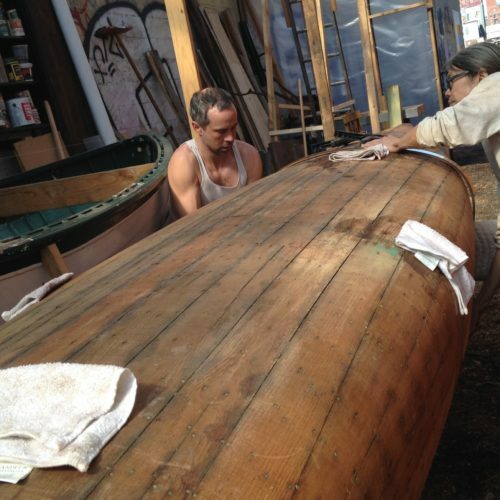 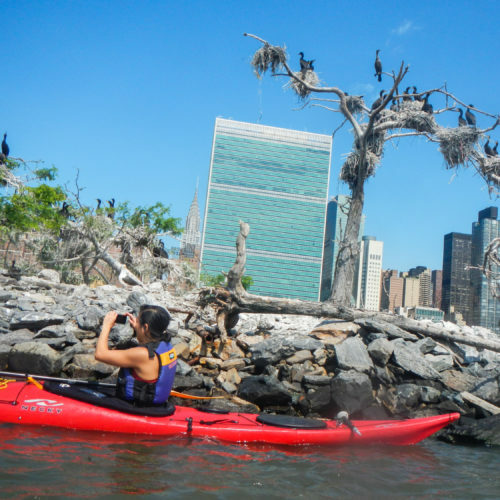 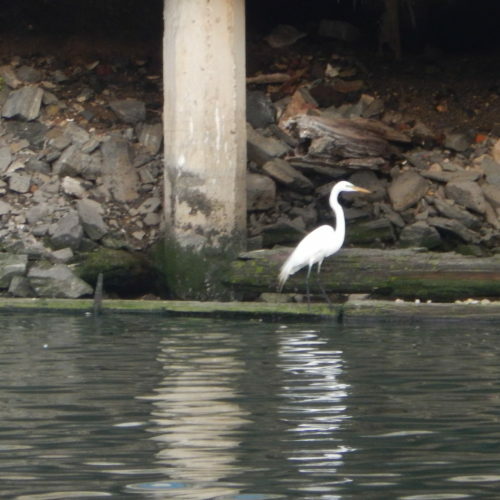 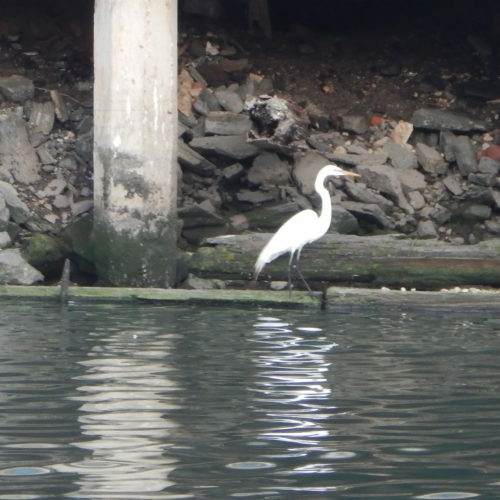 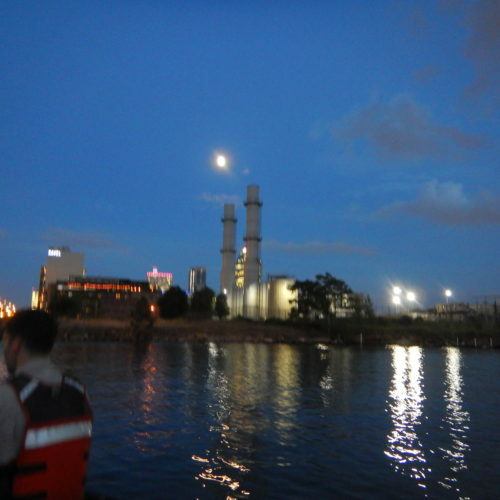 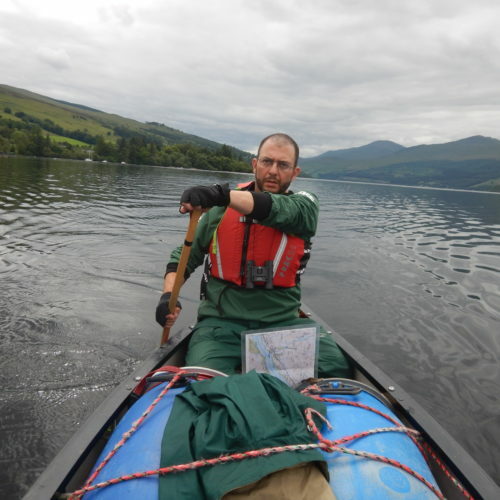 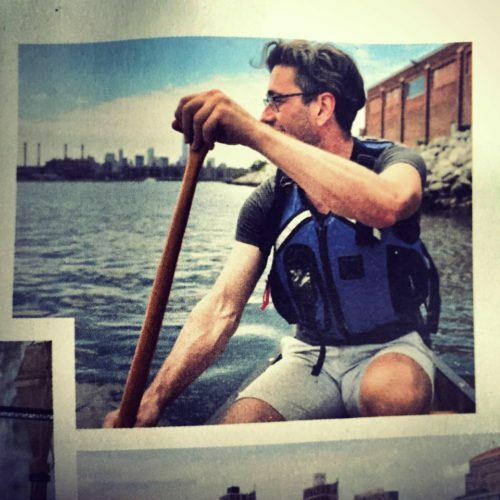 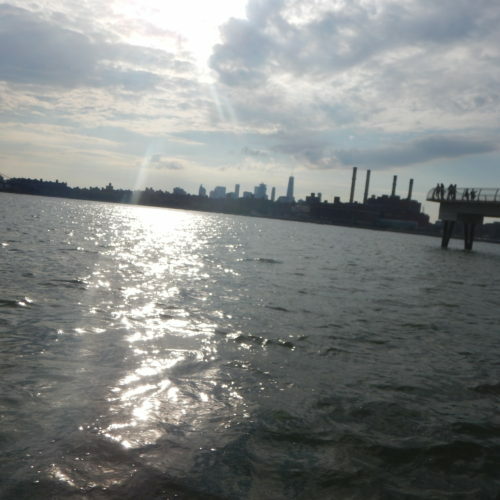 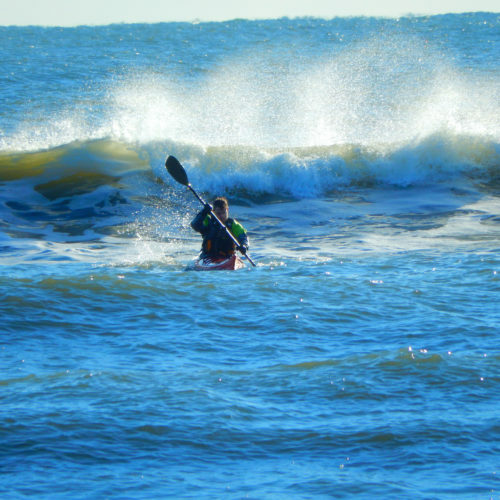 This entry was posted in Voyages and tagged canoe, charts, currents, East River, eternal float of solution, kayak, tides on August 2, 2017 by M. H..